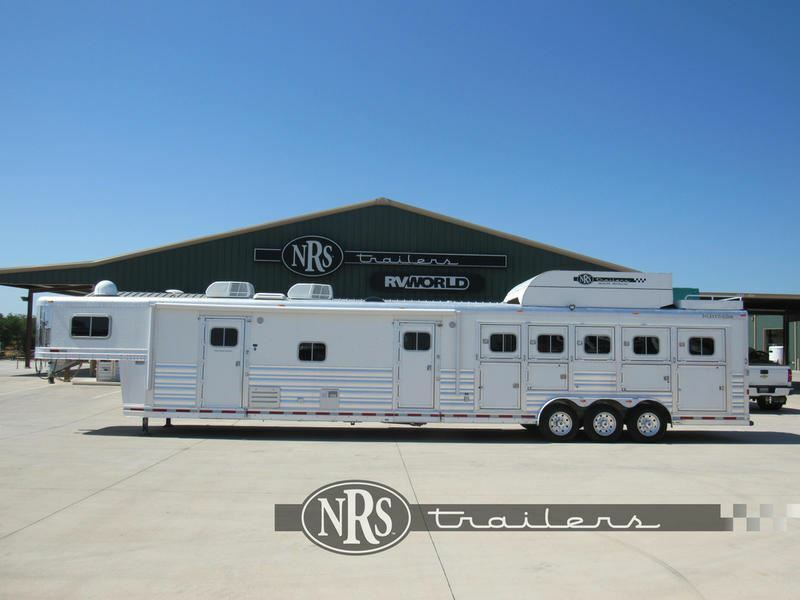 Each trailer you order personifies the vision of its people. 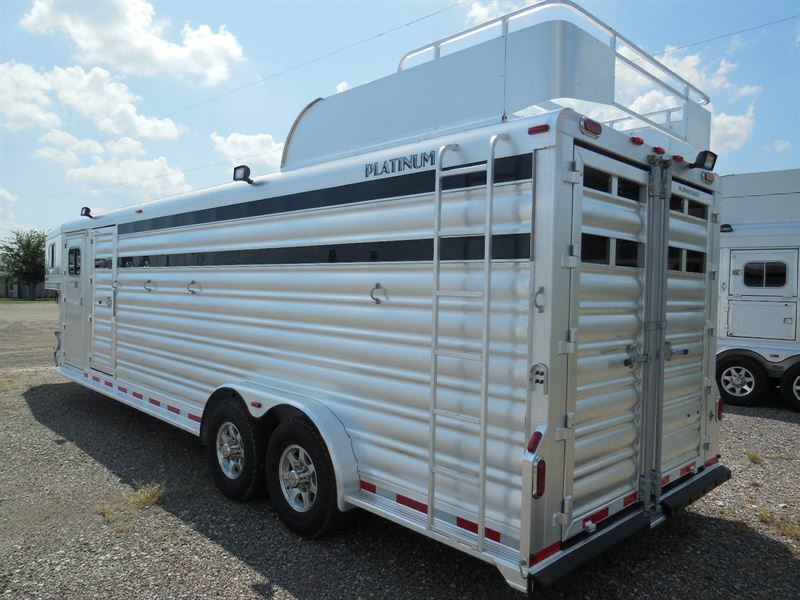 Each Platinum Coach joins durability, strength, elegance, and style in trailers of true distinction. 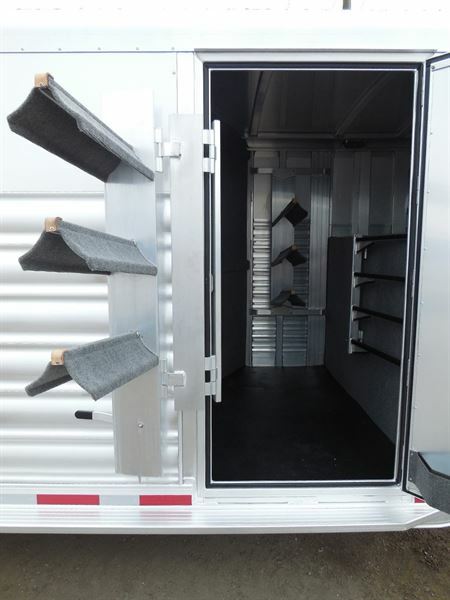 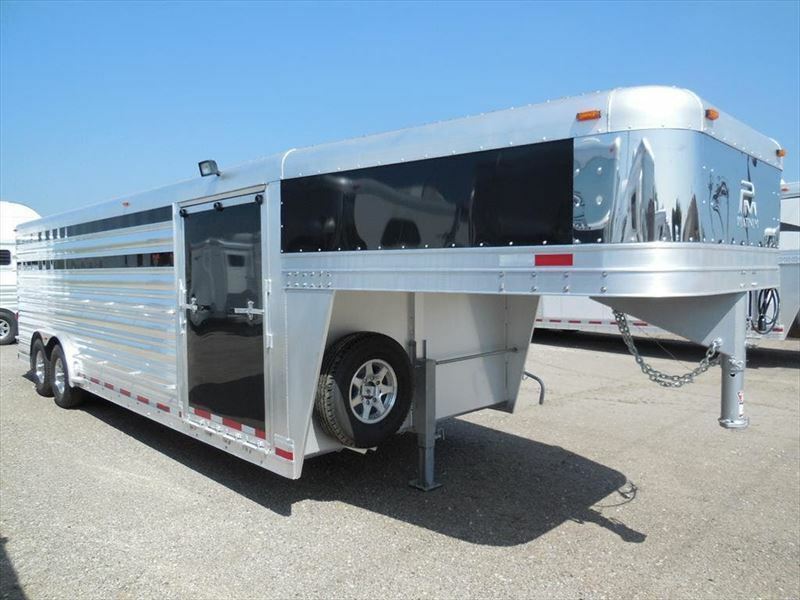 When you invest in a Platinum Coach trailer you'll benefit from the finest, most advanced materials and workmanship. 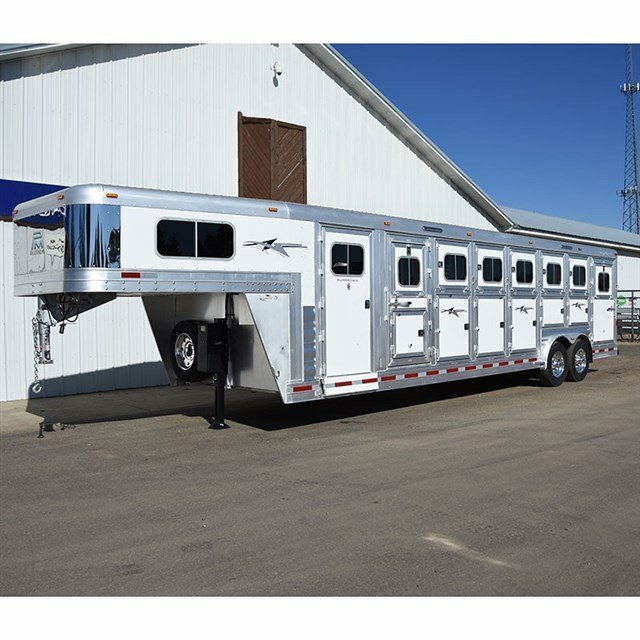 Platinum Coach custom-built trailers range from a two-horse bumper-pull to a 40' gooseneck with elegant living quarters. 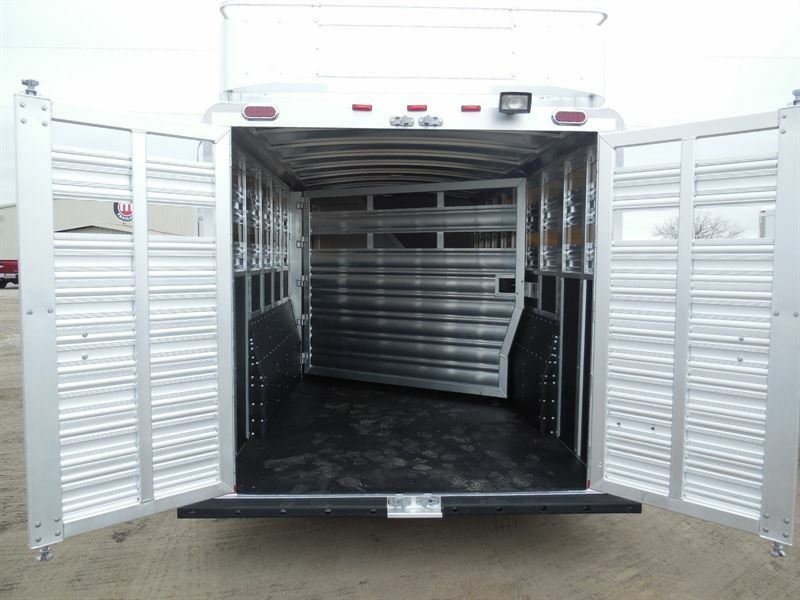 The finest, highest-grade materials are combined with superior workmanship and high-quality welding. 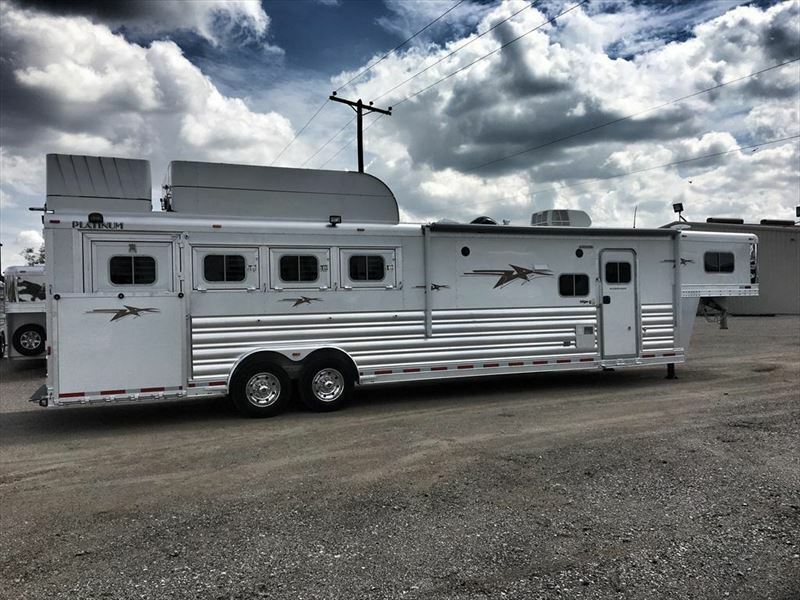 You won't find any better. 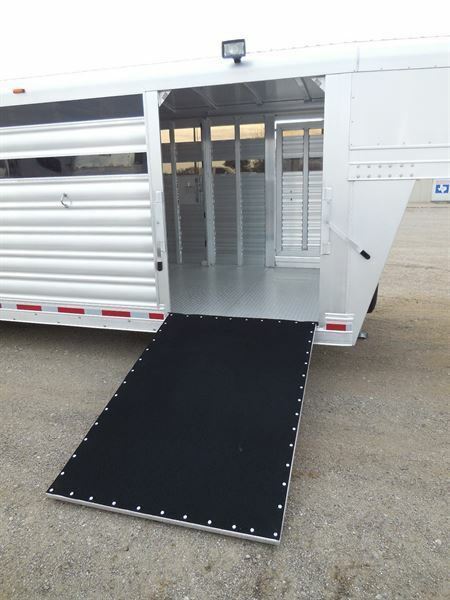 The strongest floor and structure possible with rigid wall engineering for unsurpassed strength and service life. 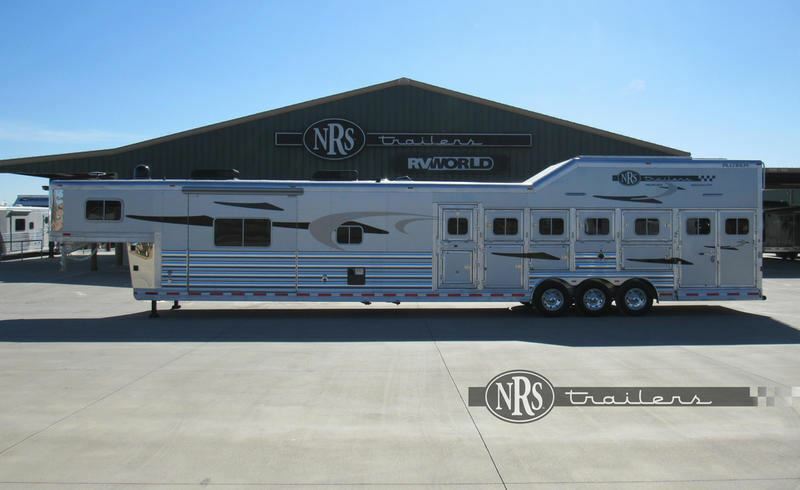 The most elegant, straight-sided look in the trailer industry. 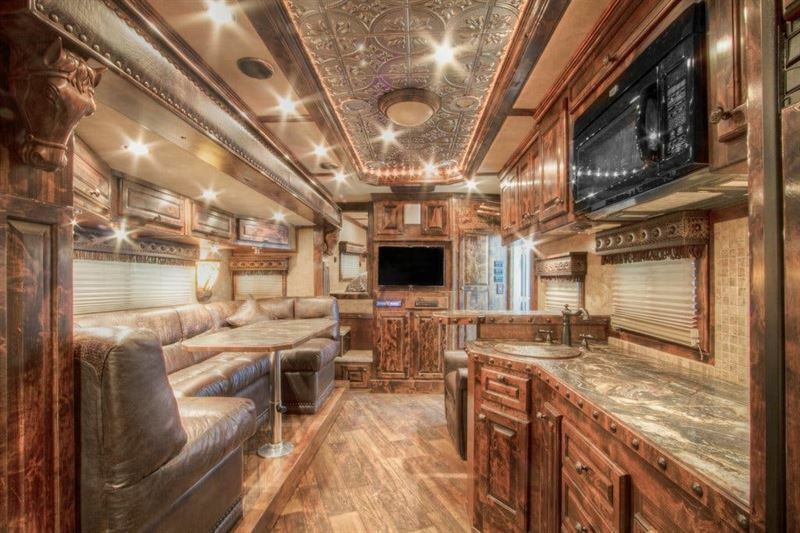 The Platinum Coach is a work of art. 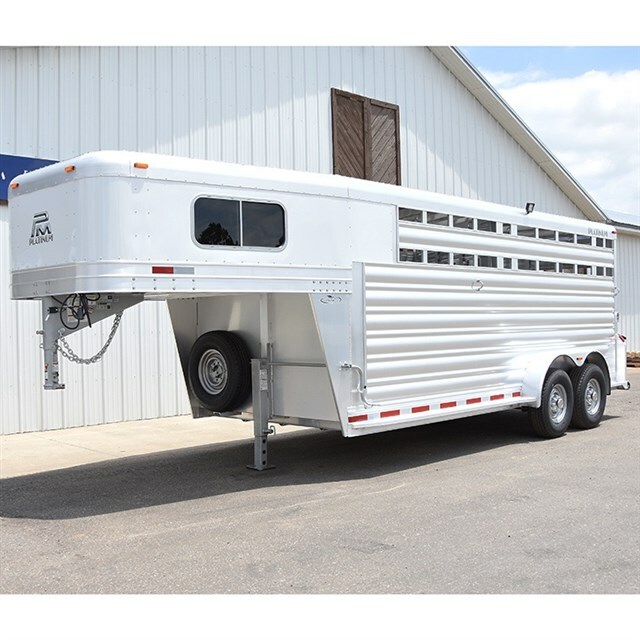 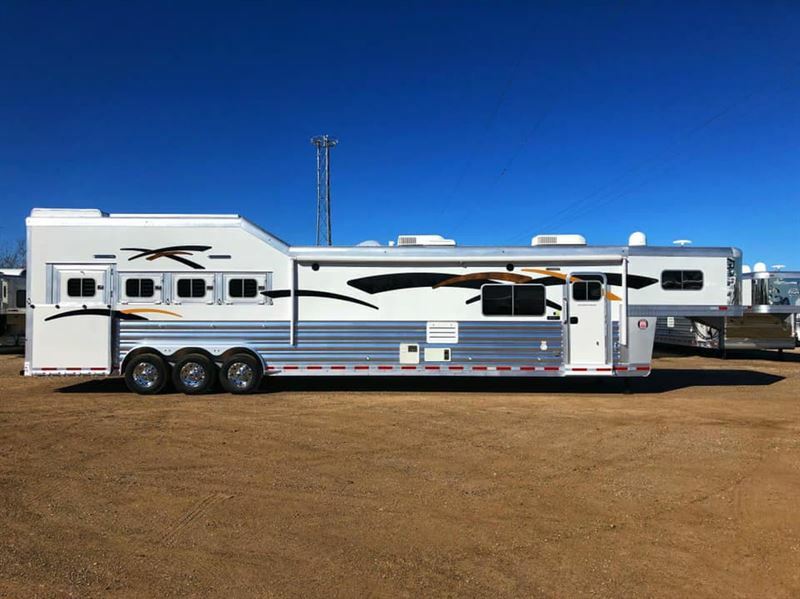 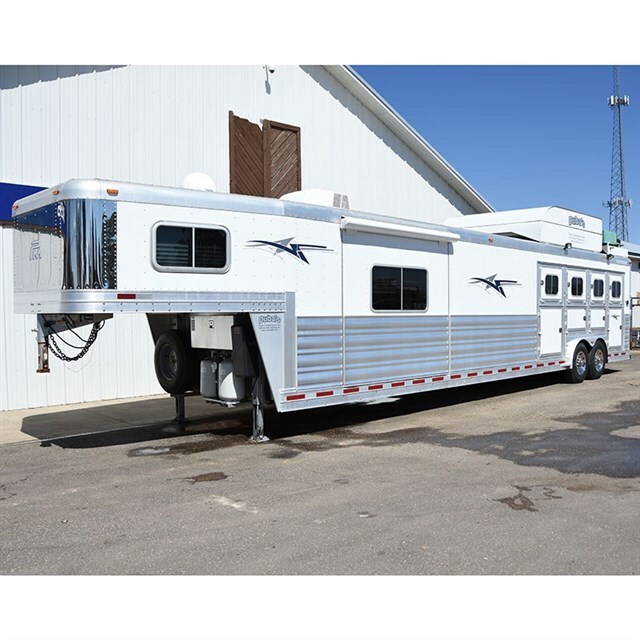 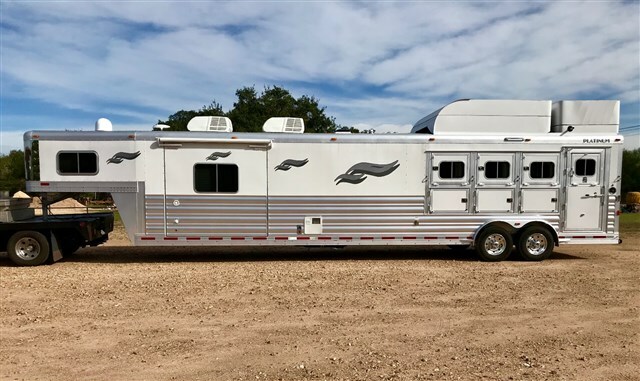 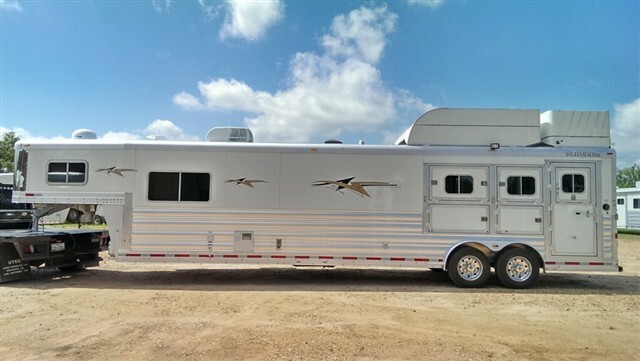 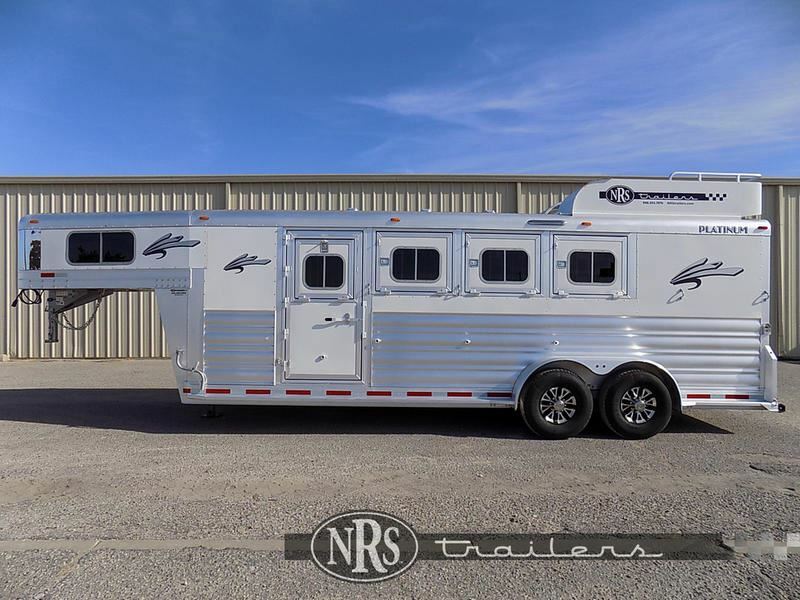 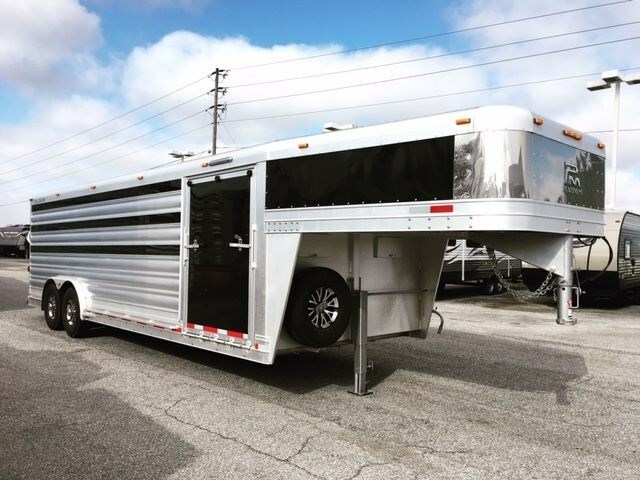 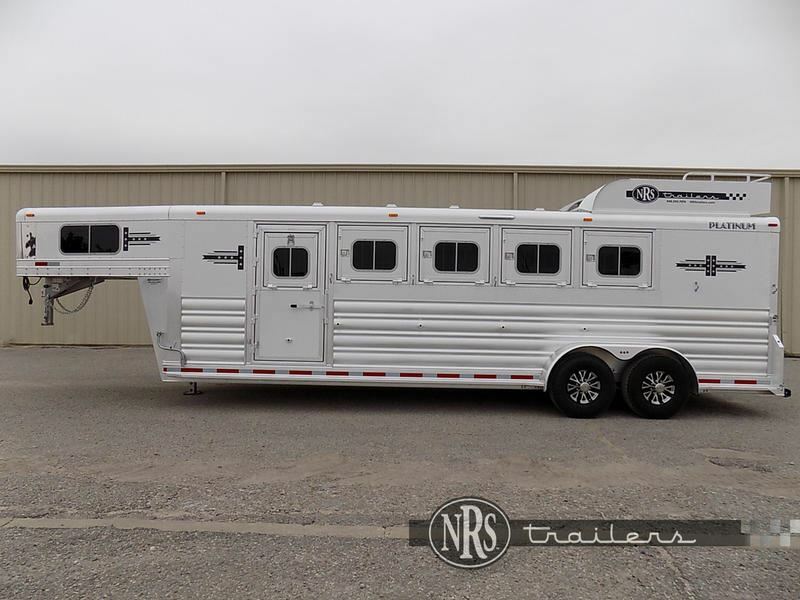 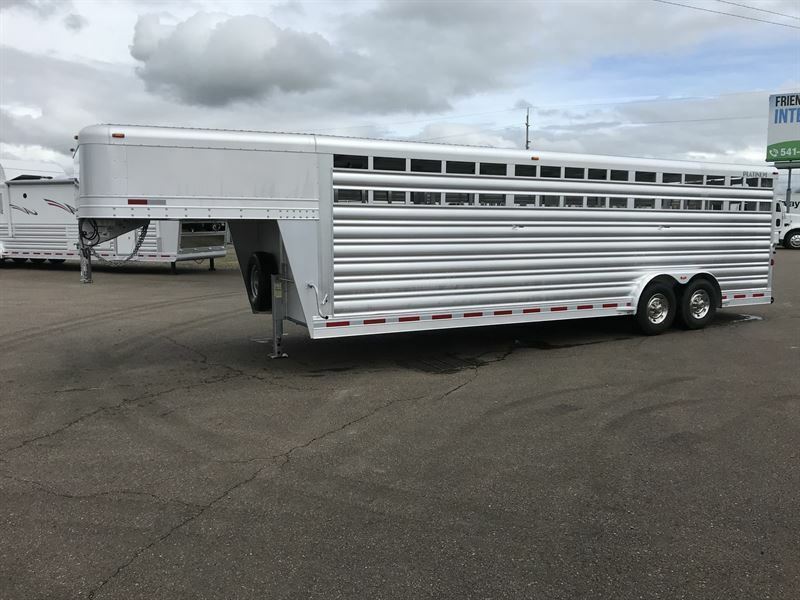 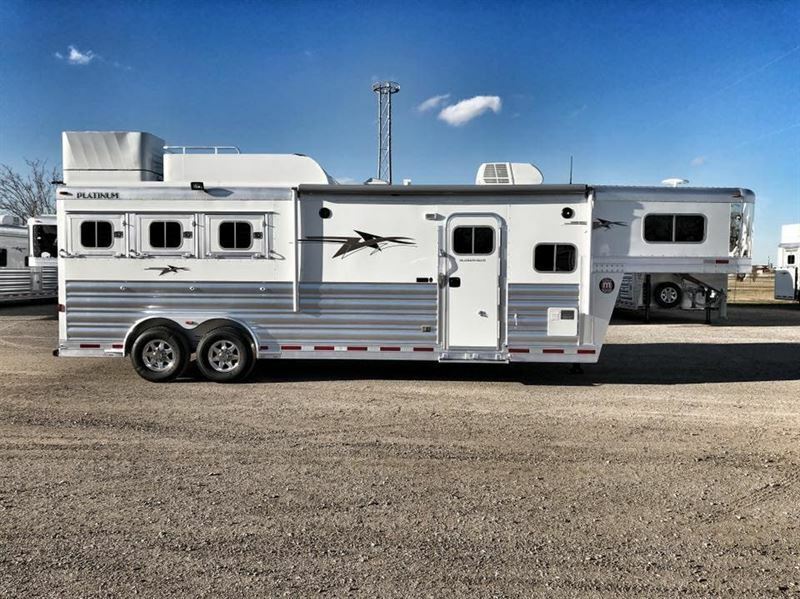 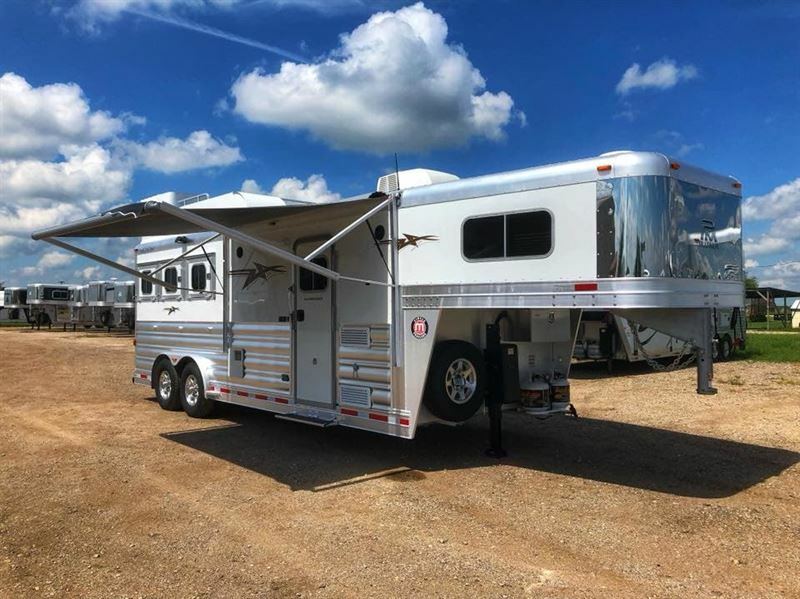 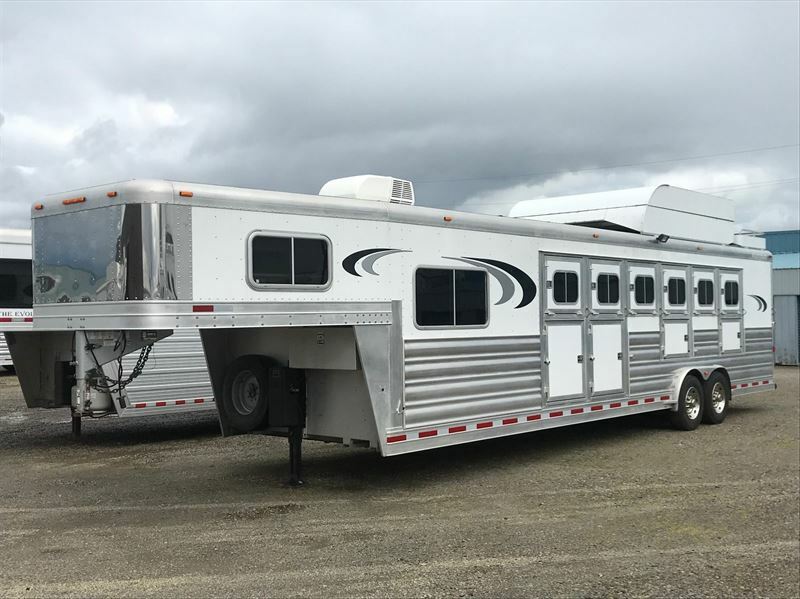 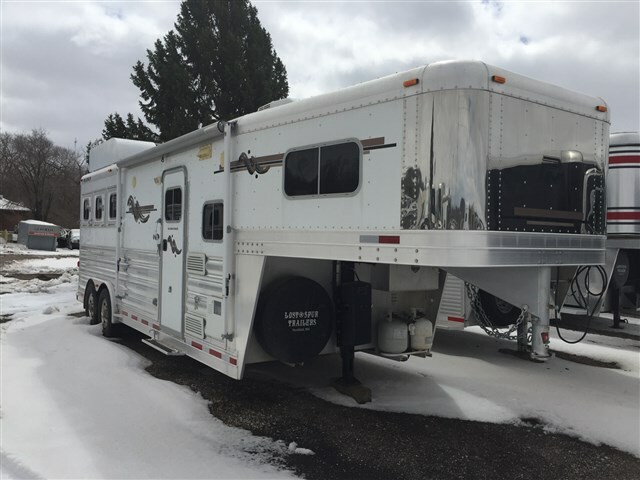 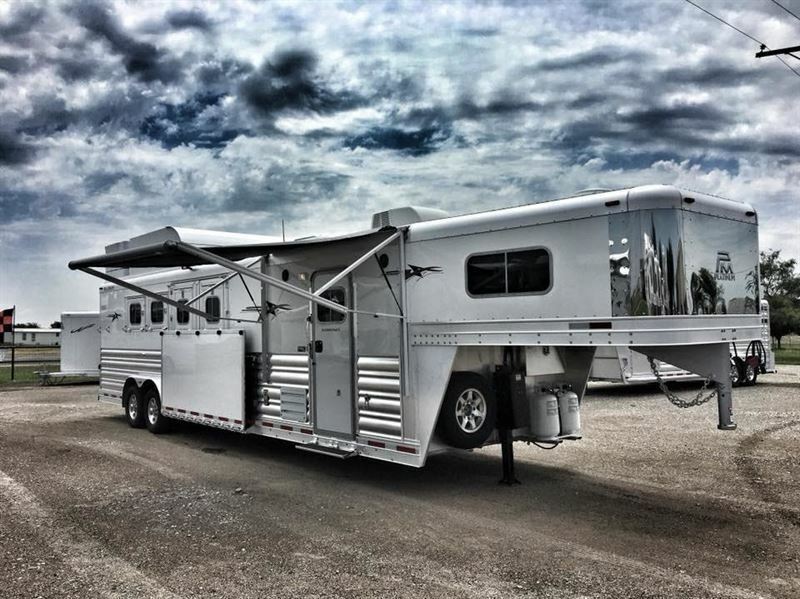 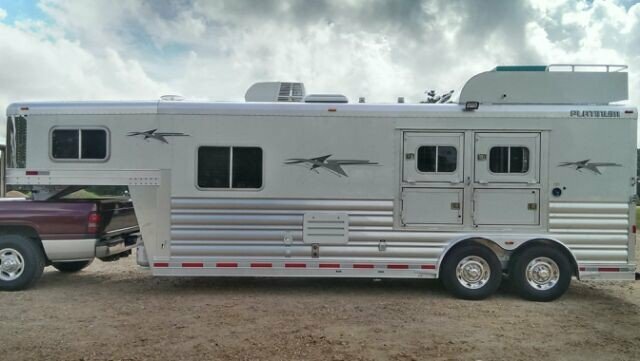 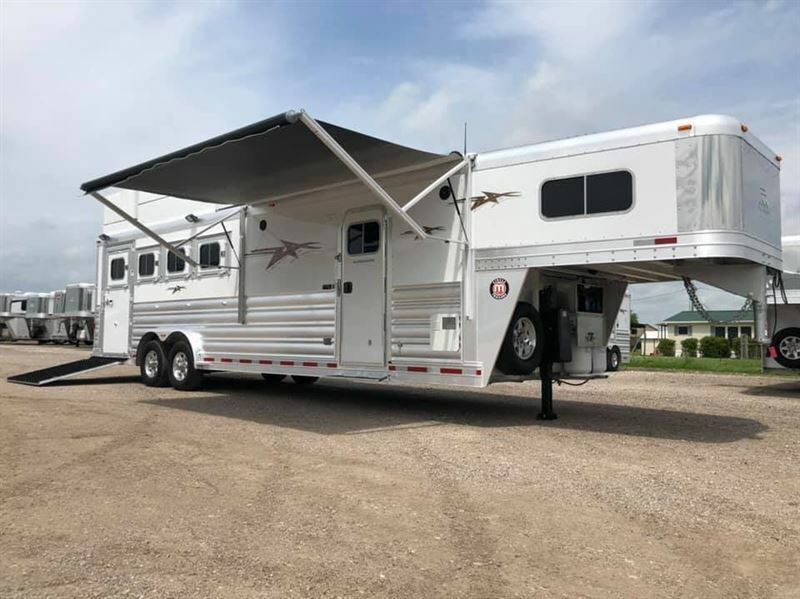 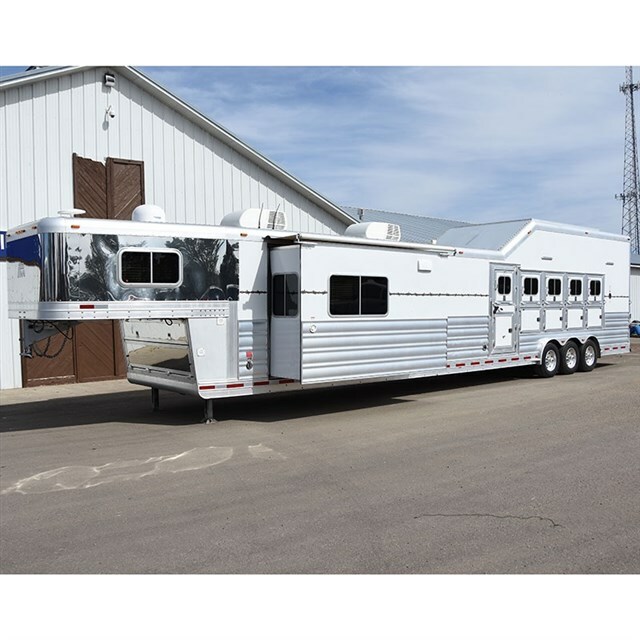 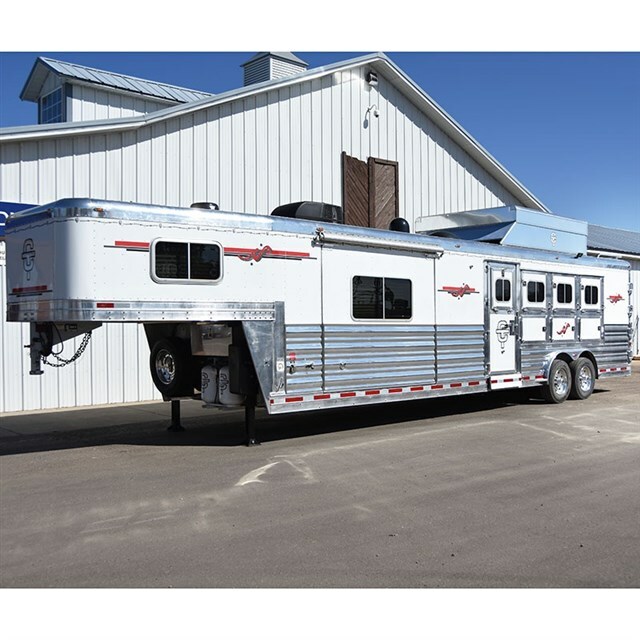 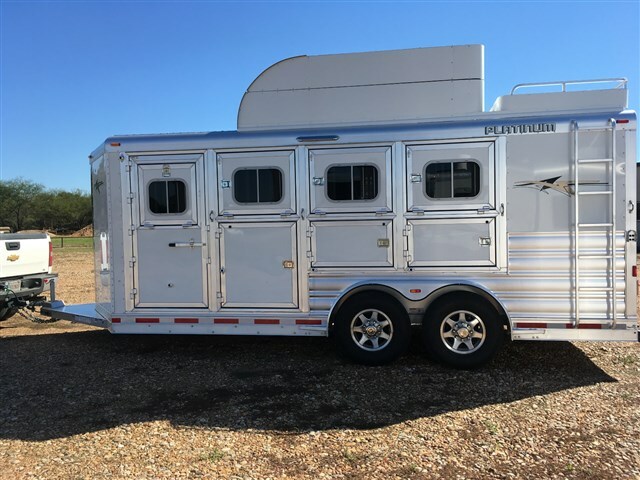 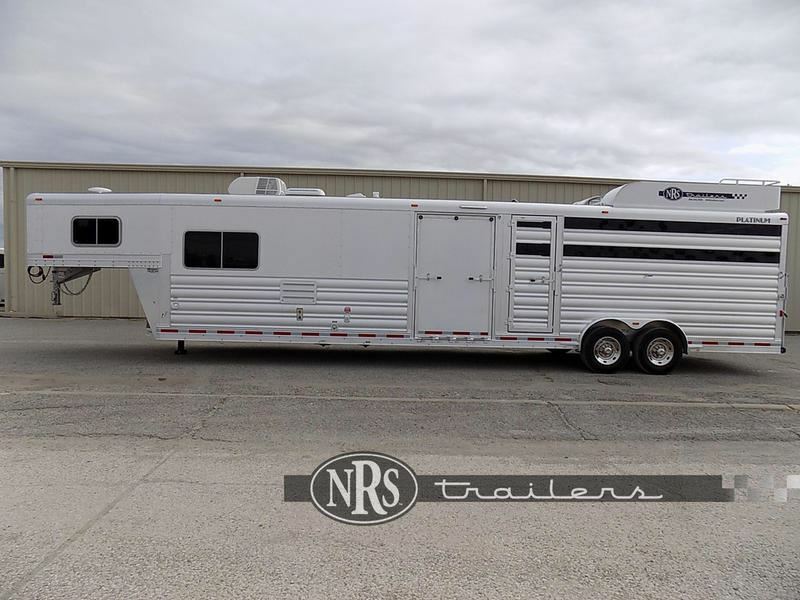 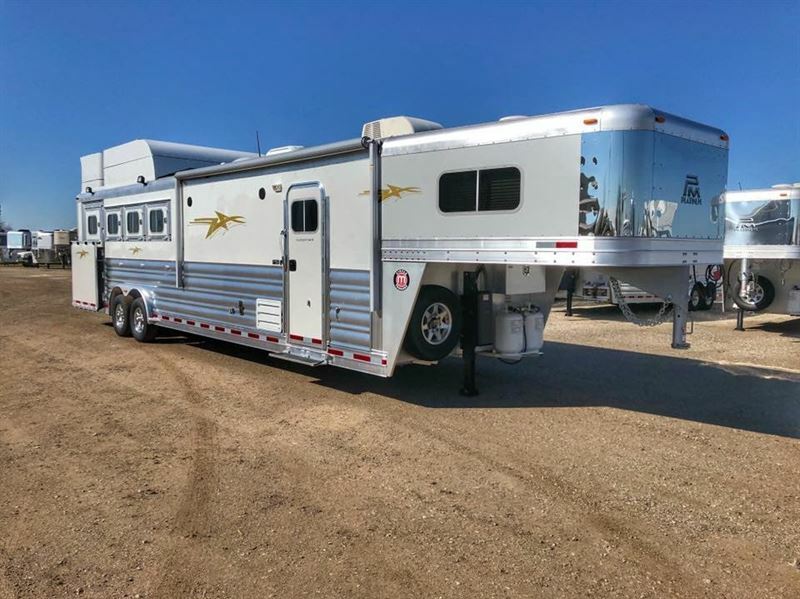 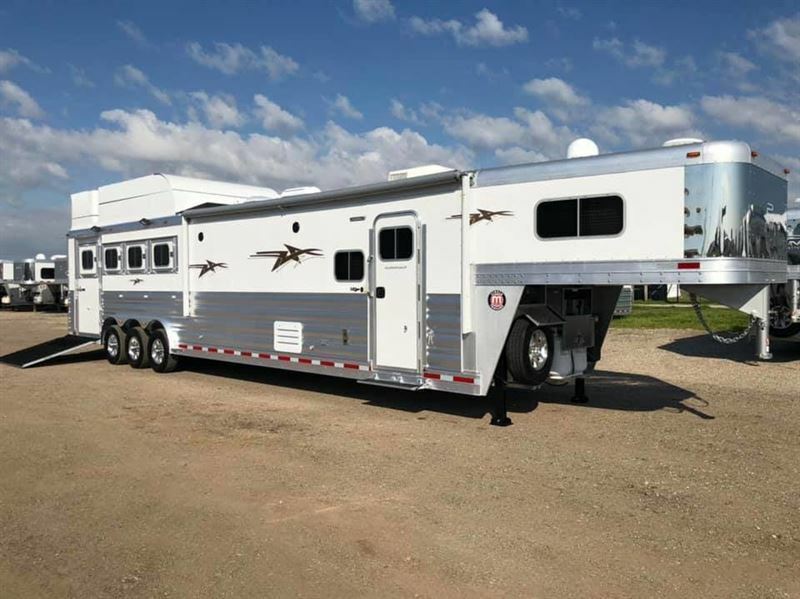 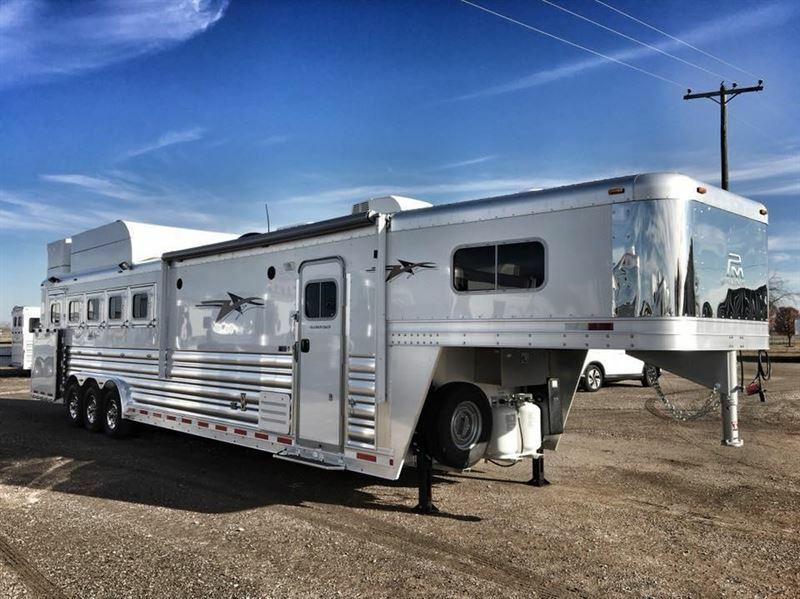 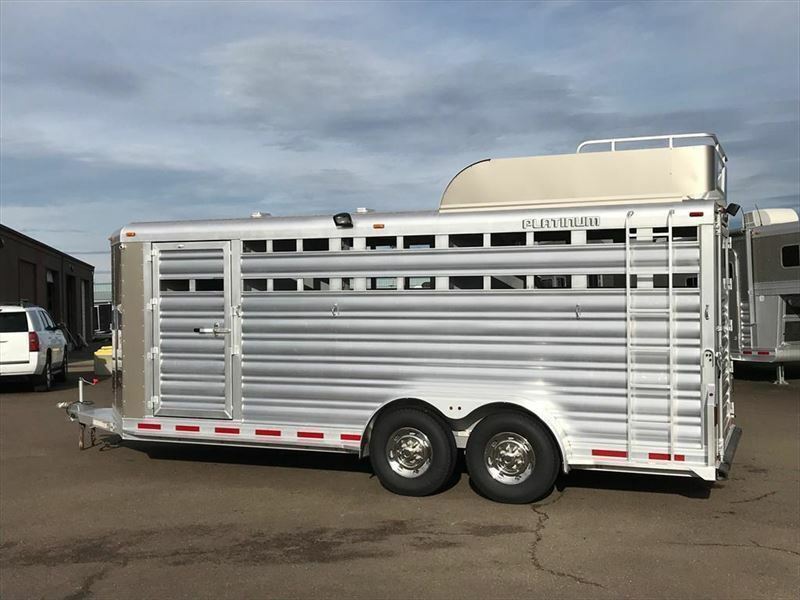 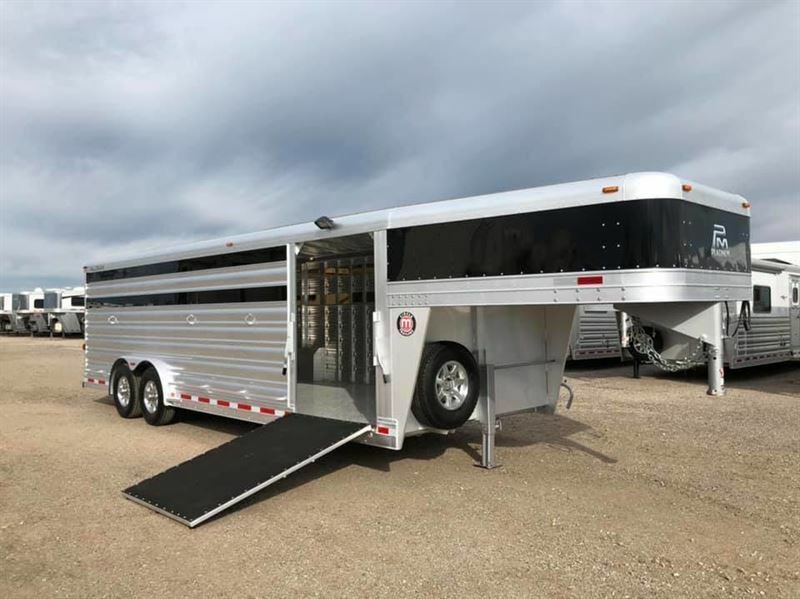 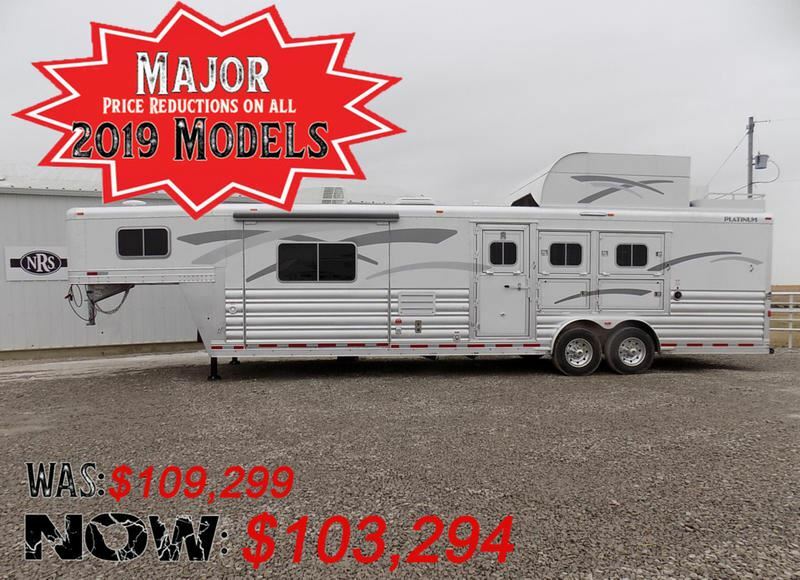 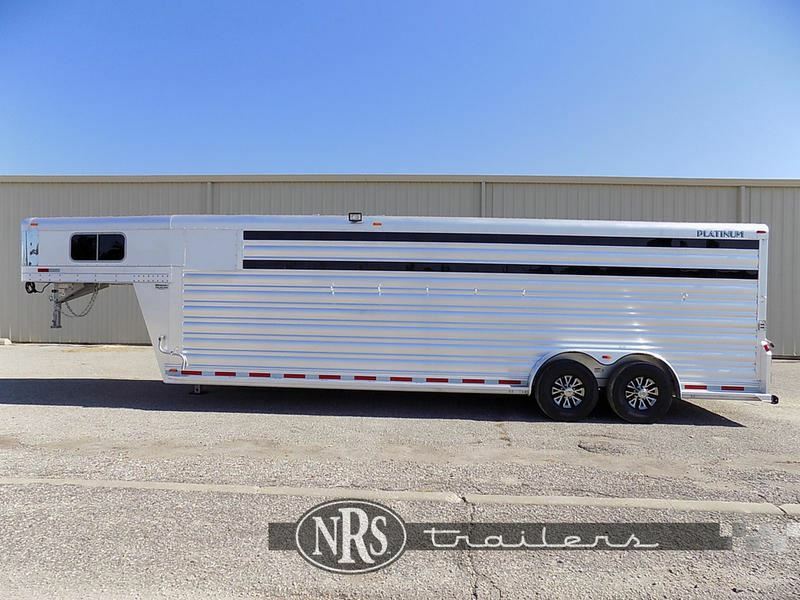 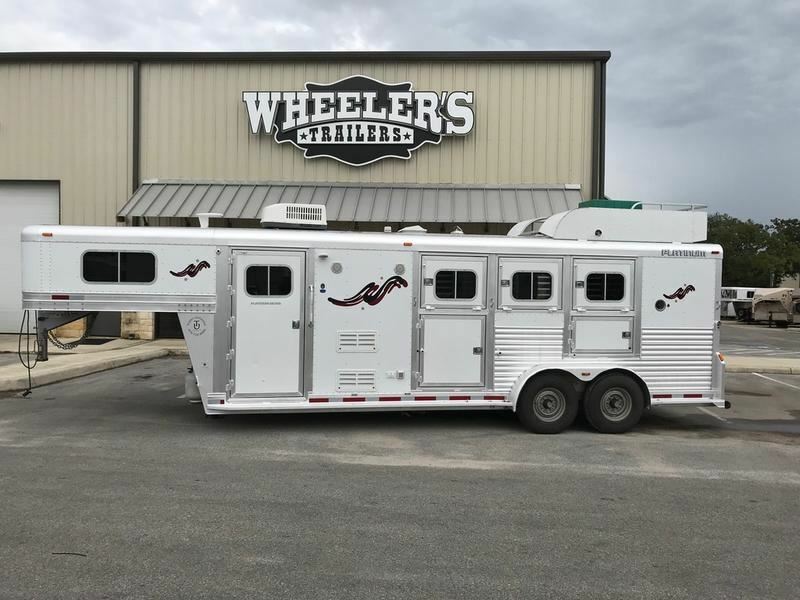 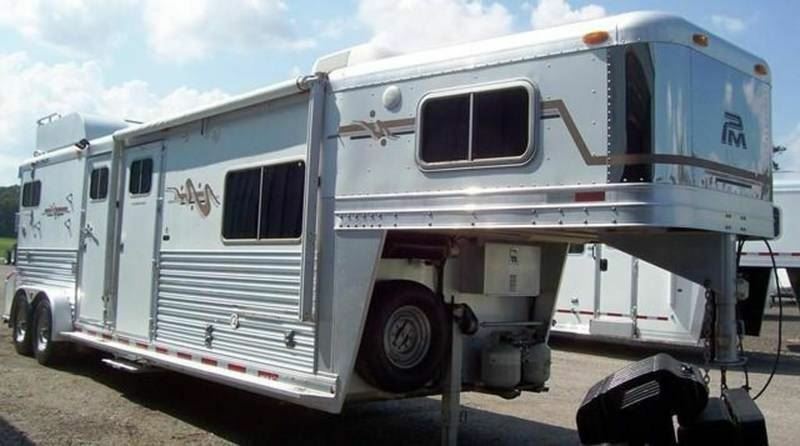 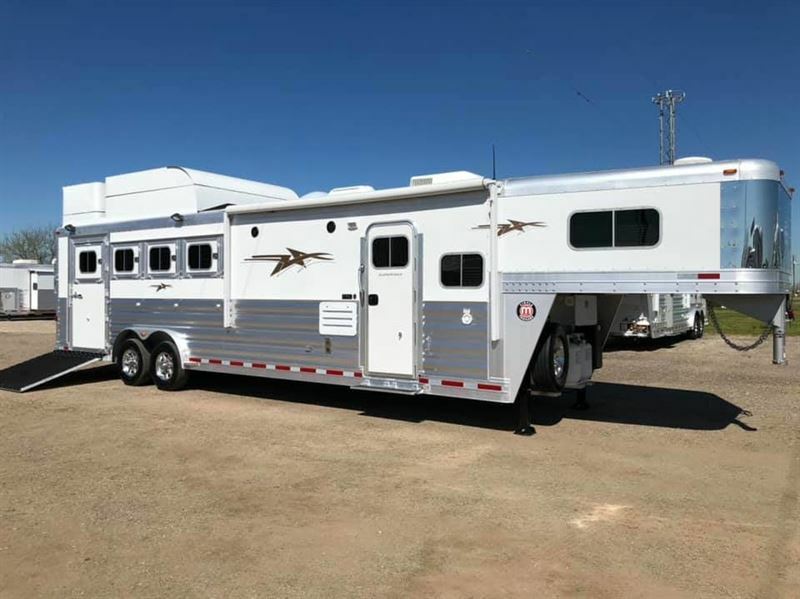 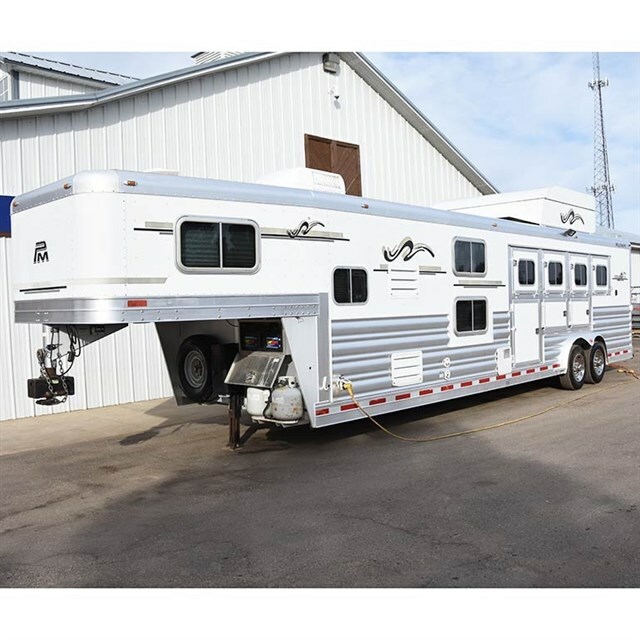 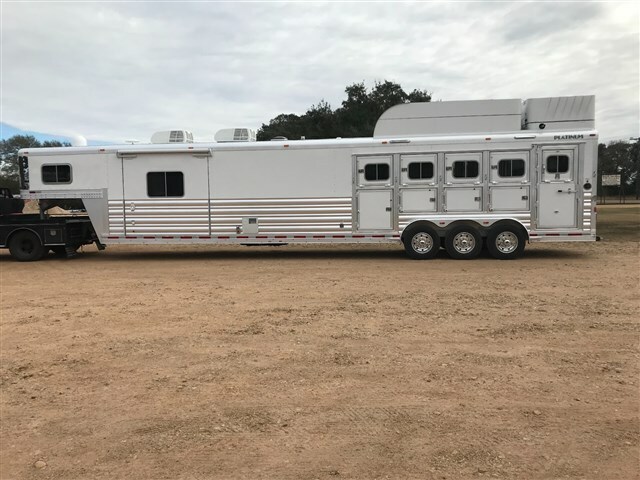 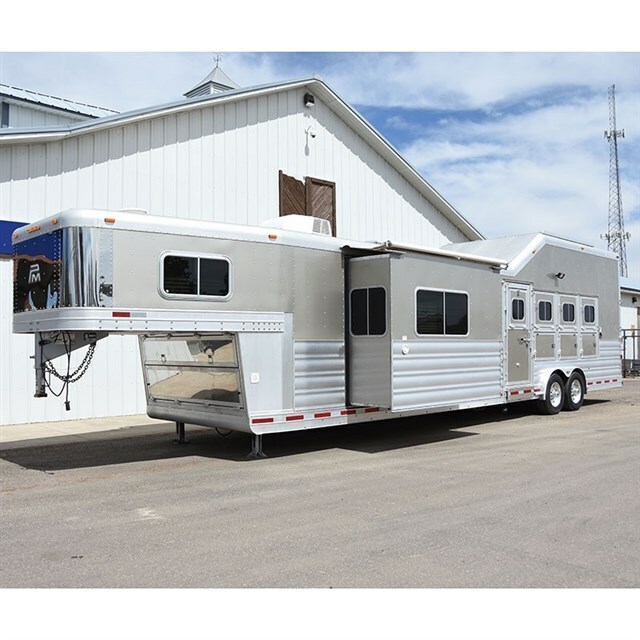 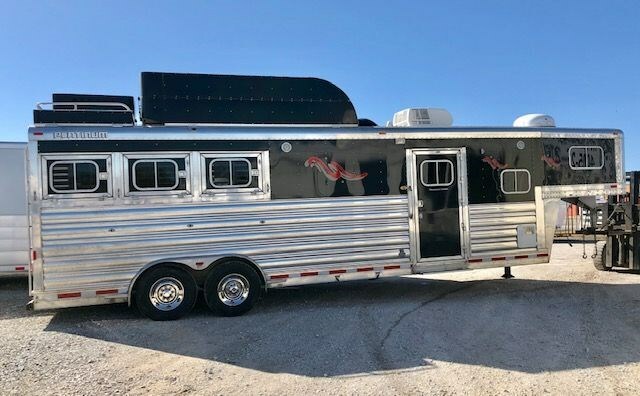 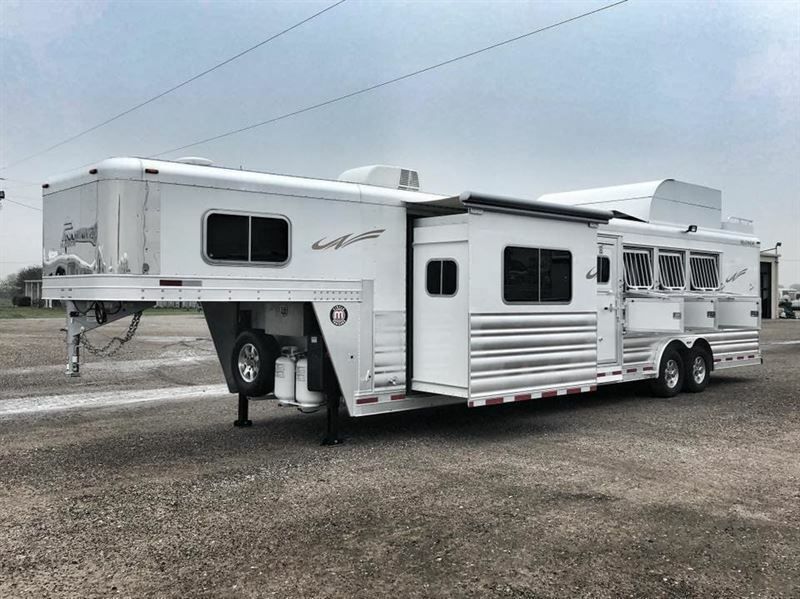 2019 Stock horse Platinum Coach 22' Stock Combo 7'6" wide..HAUL IT ALL!! 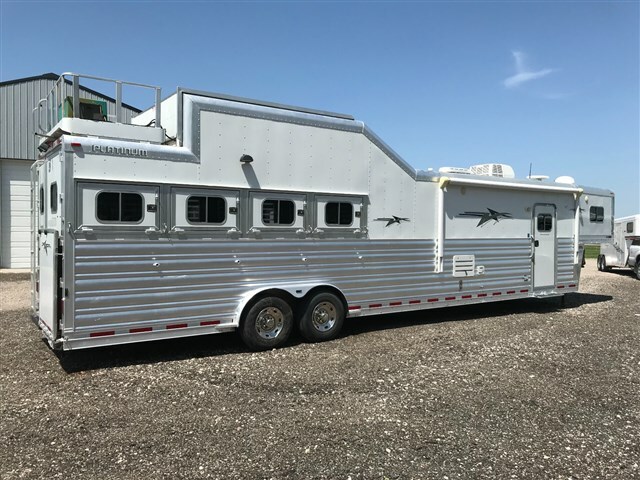 2019 4 horse Platinum Coach 22' Stock Combo 7'6" wide..SWING OUT SADDLE RACK! 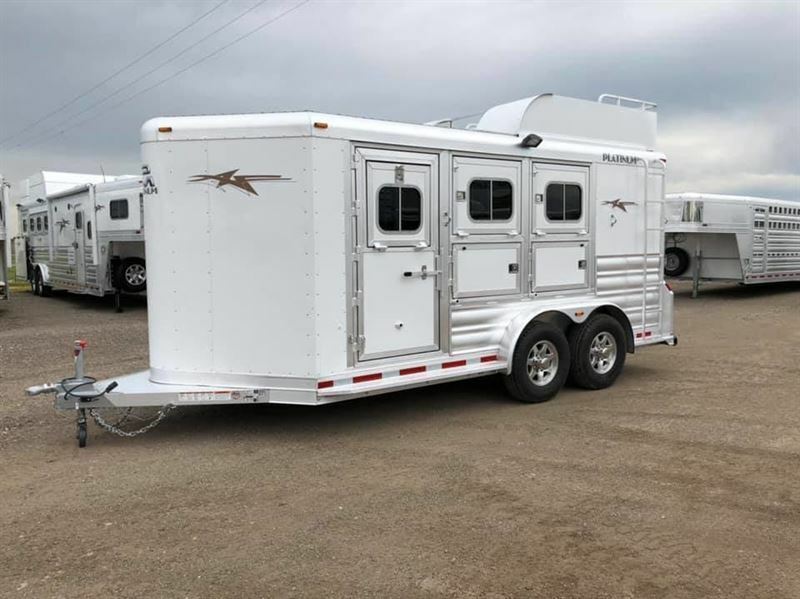 2019 5 horse Platinum Coach 22' Stock Combo 7'6" wide..SWING OUT SADDLE RACK! 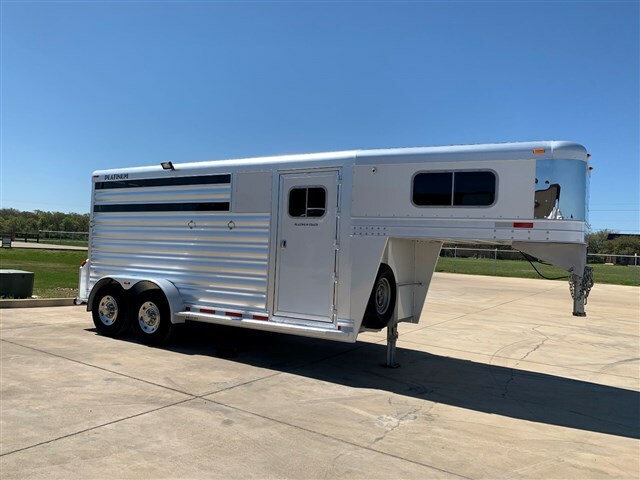 2019 3 horse Platinum Coach Outlaw 3-12' 8" SW Outlaw SIDE LOAD + SLIDE OUT!! 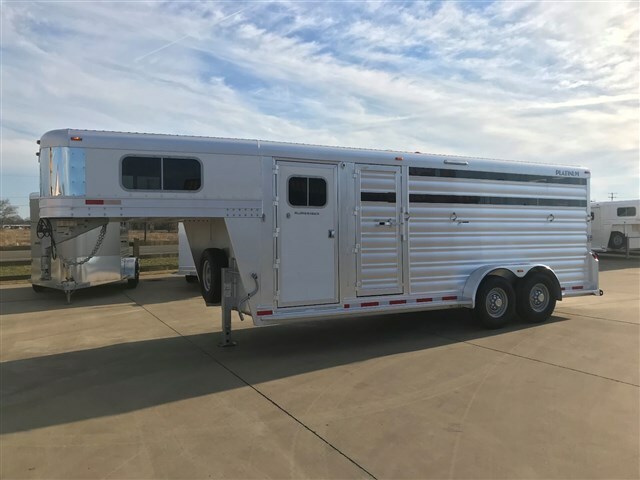 2019 6 horse Platinum Coach 22' Stock Combo 7'6" wide..SWING OUT SADDLE RACK! 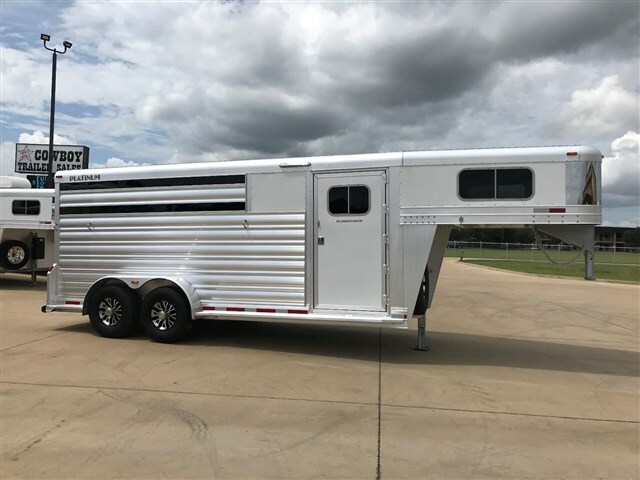 2019 Stock horse Platinum Coach 22' Stock Combo 7'6" wide..SWING OUT SADDLE RACK! 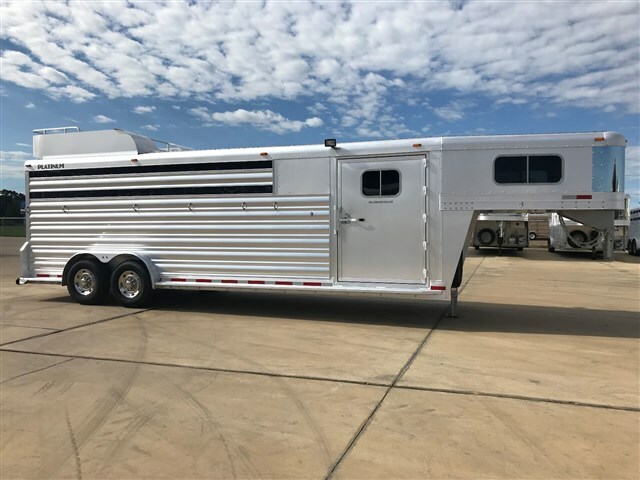 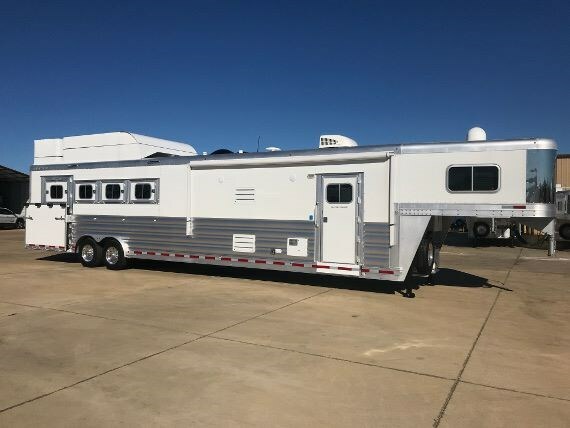 2019 Stock horse Platinum Coach 24' stock trailer 8 WIDE !! 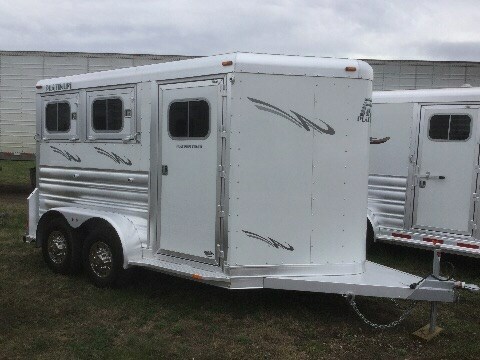 2019 3 horse Platinum Coach 4 Horse 7'6" wide Combo Sport, LOADED!! 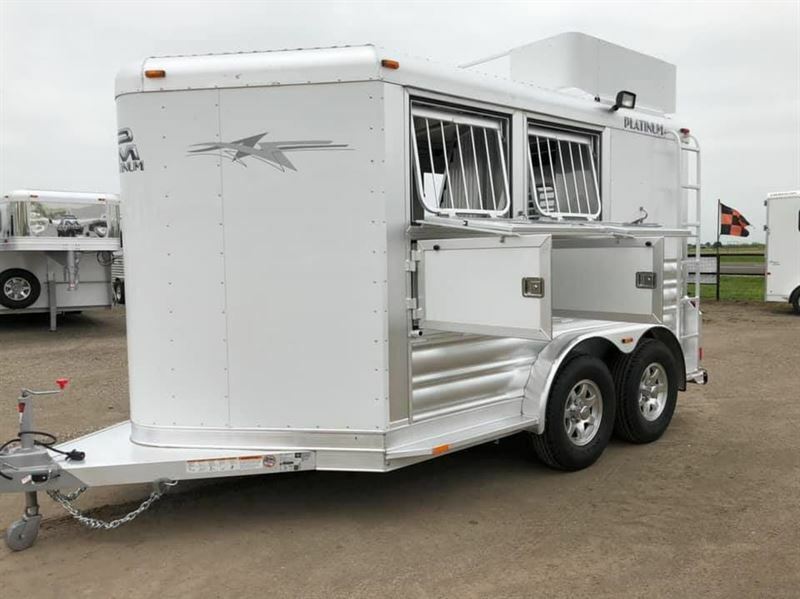 2019 5 horse Platinum Coach Outlaw 5 horse 13' SW SIDE LOAD + BUNK BED!! 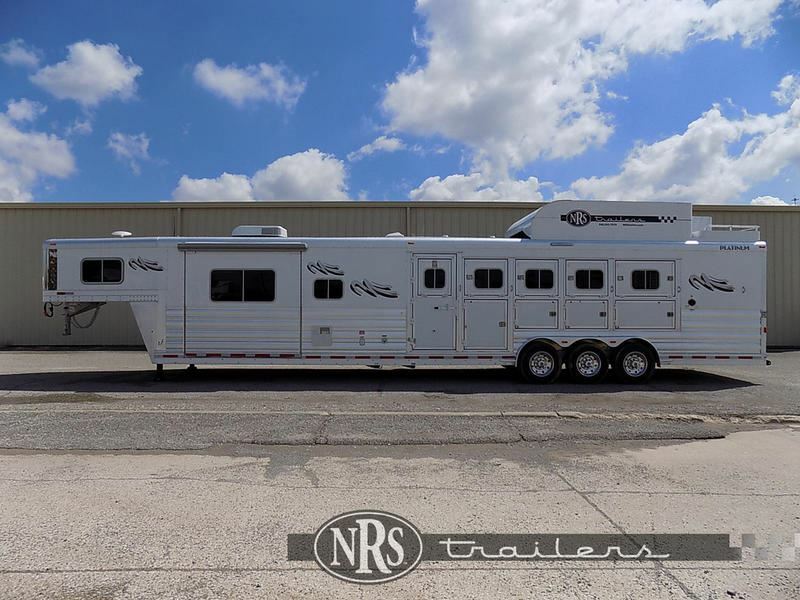 2019 4 horse Platinum Coach 4 Horse 7'6" wide Combo Sport, LOADED!! 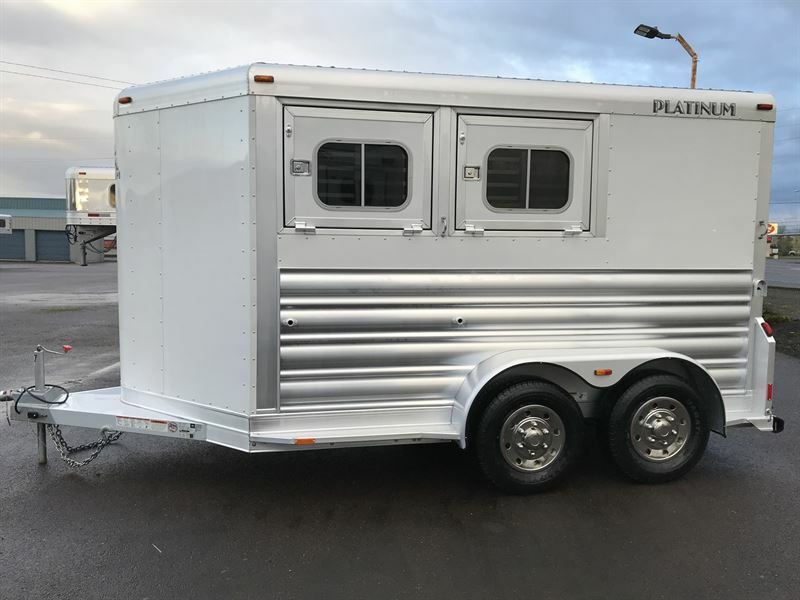 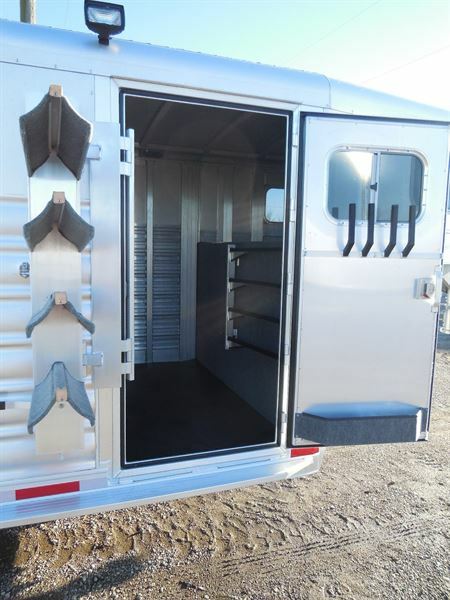 2019 3 horse Platinum Coach 3 Horse 4' Short wall 7'6" wide with MANGERS!!! 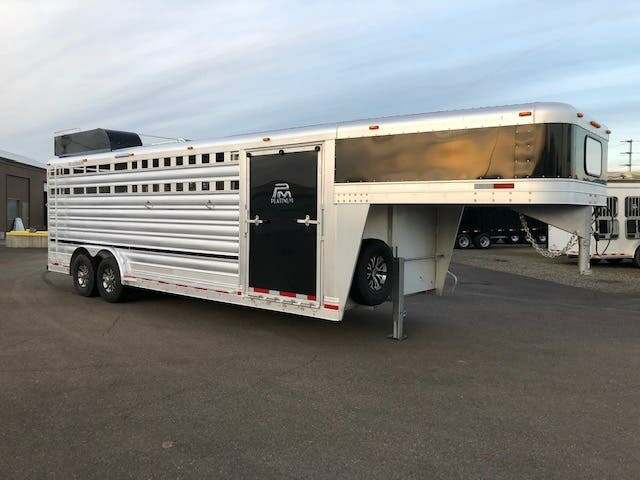 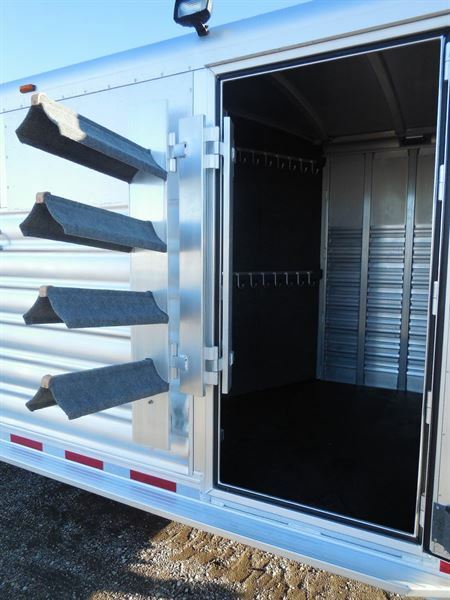 2018 Stock horse Platinum 24' stock Trailer LEFT OVER 2018 MUST GO!!!!!!!!!! 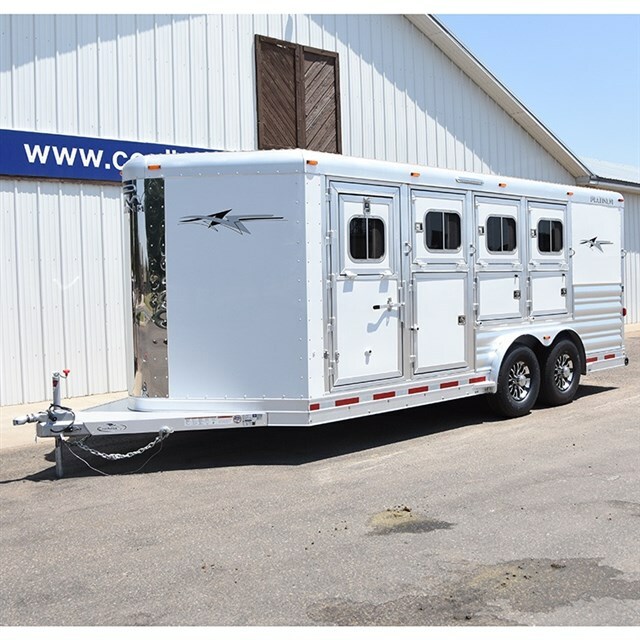 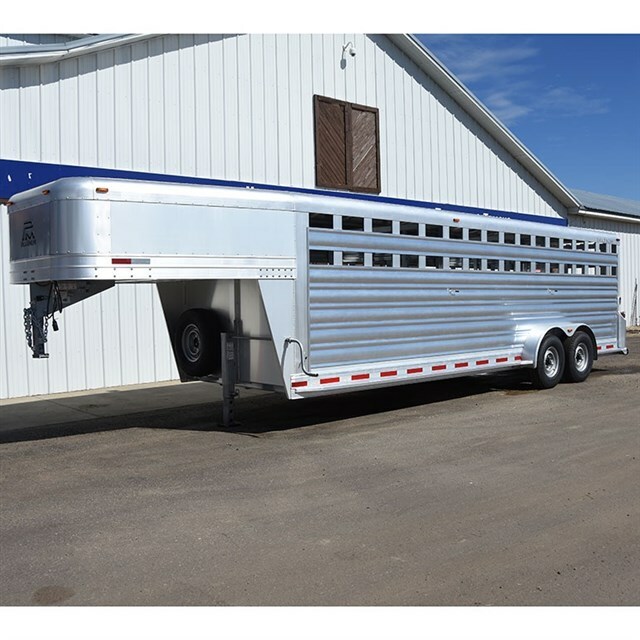 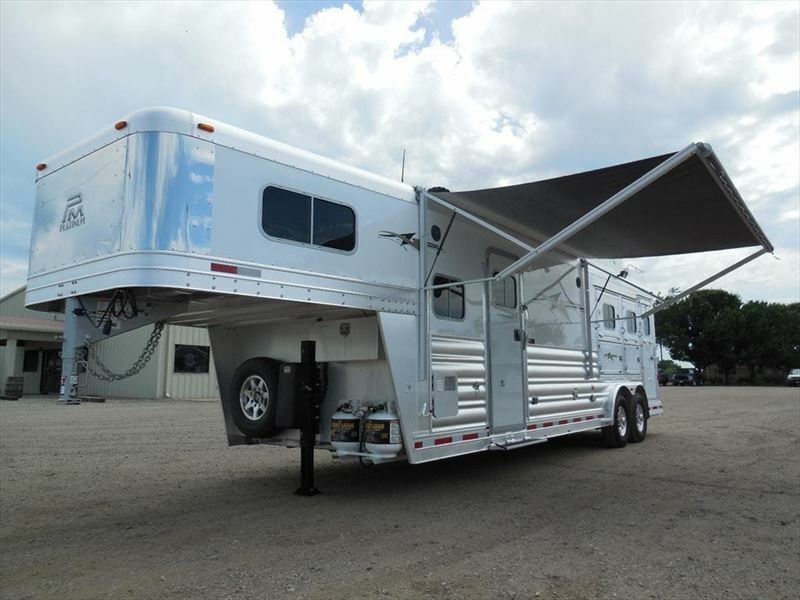 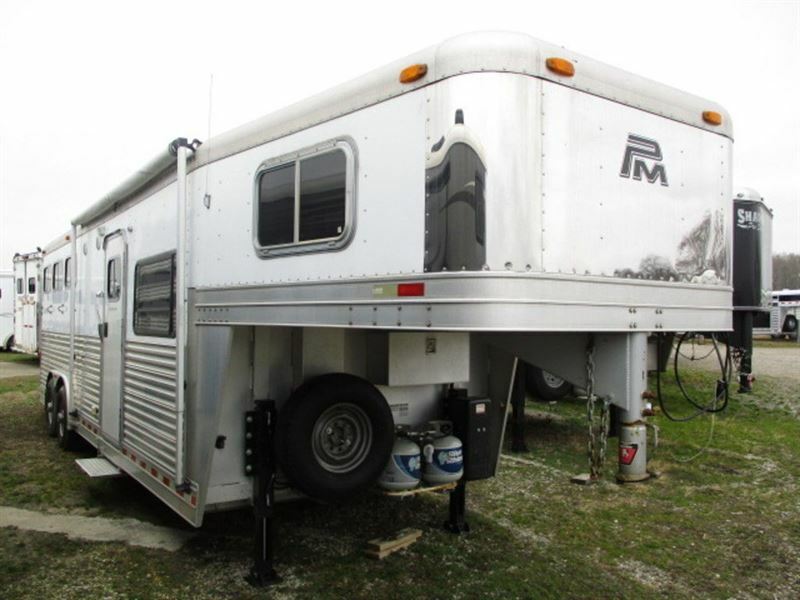 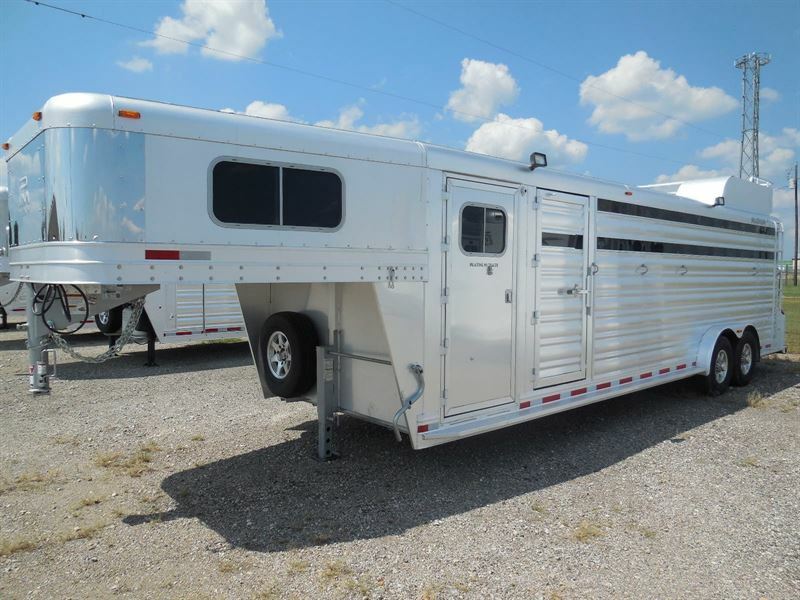 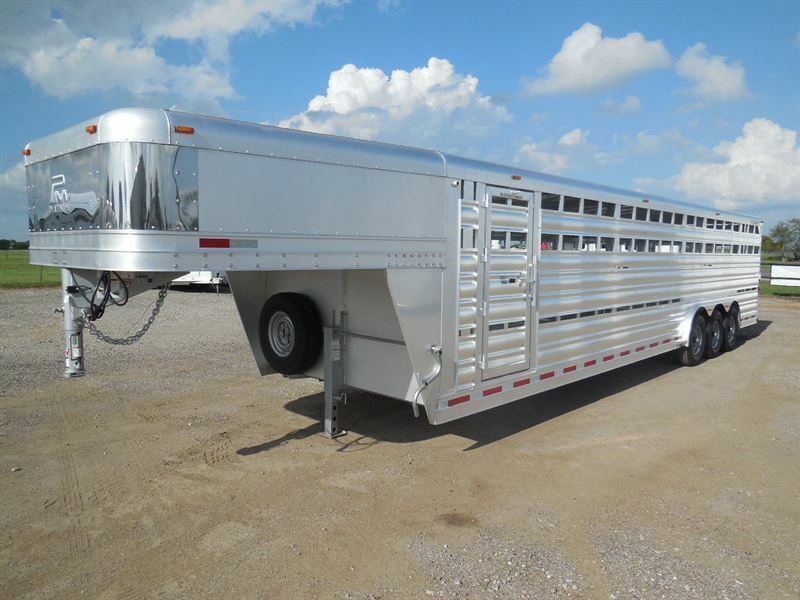 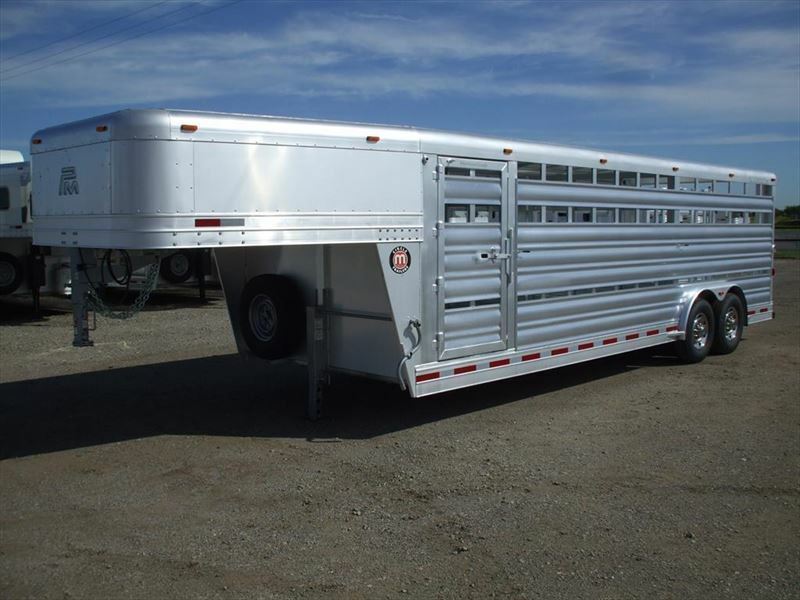 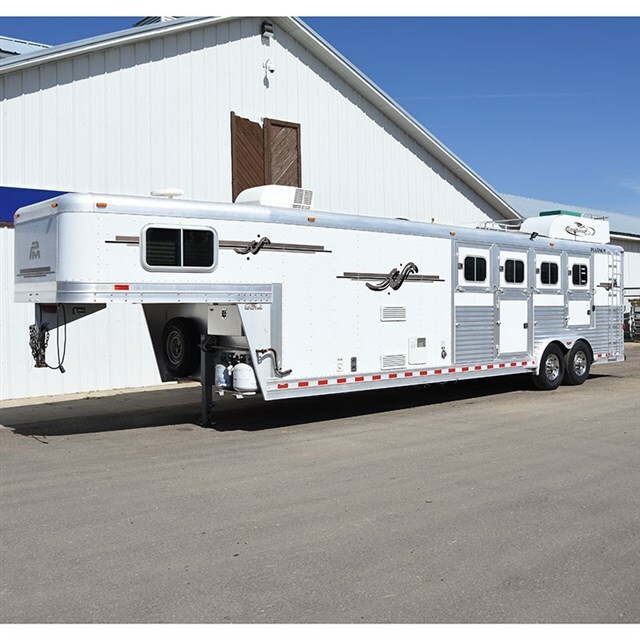 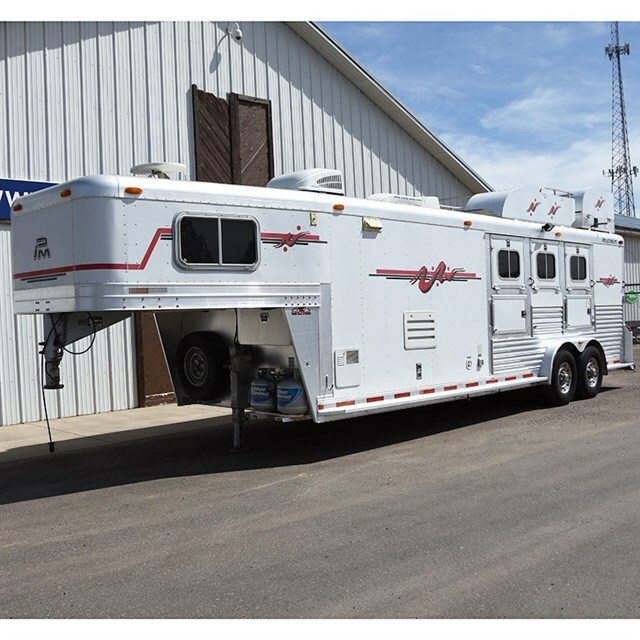 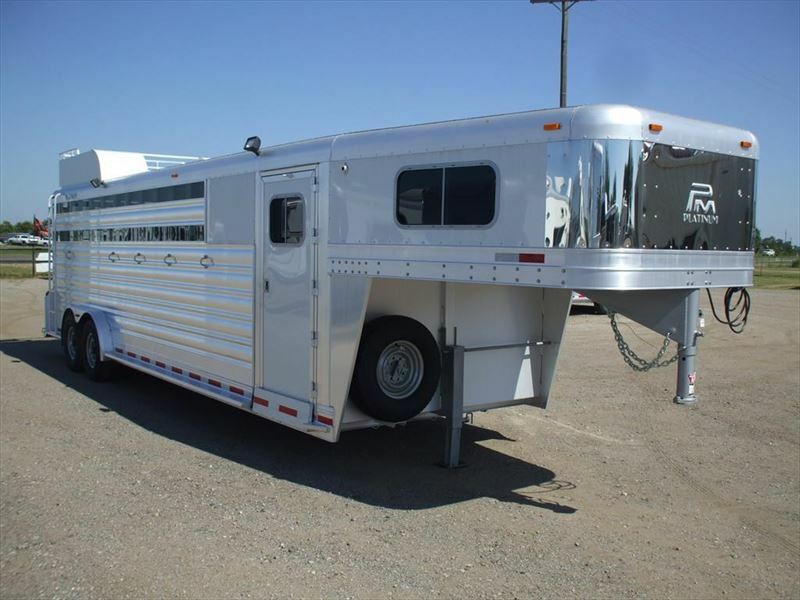 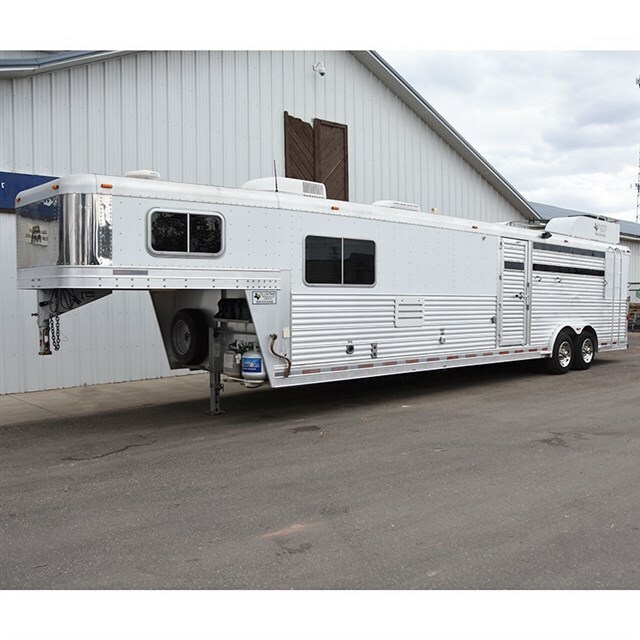 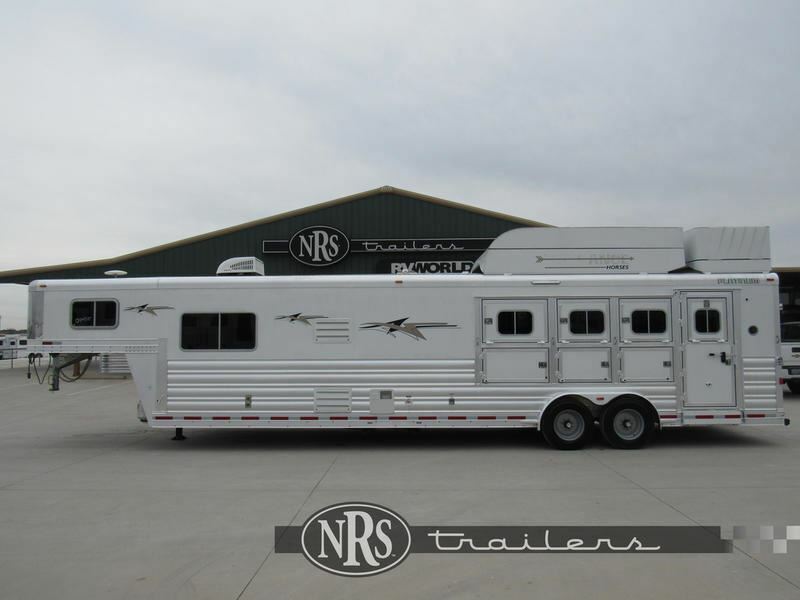 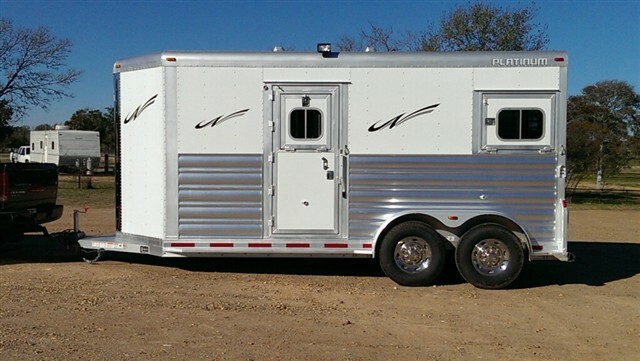 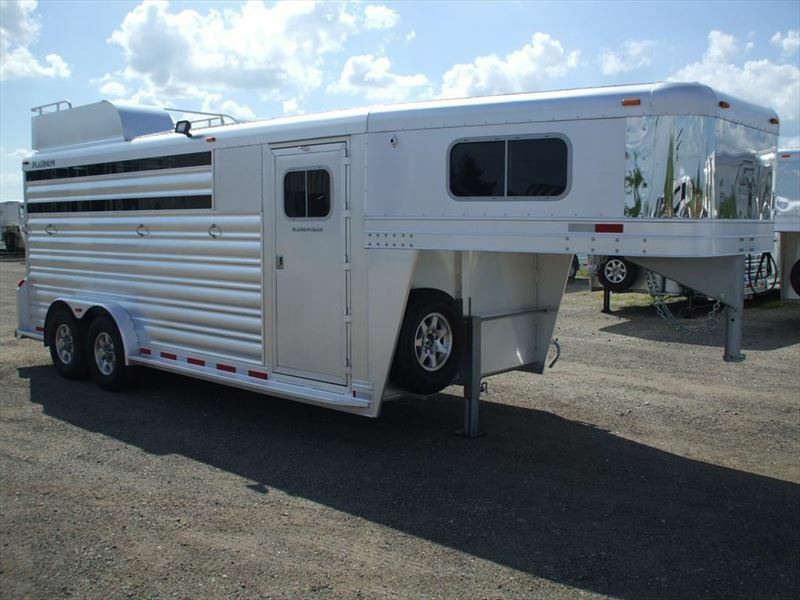 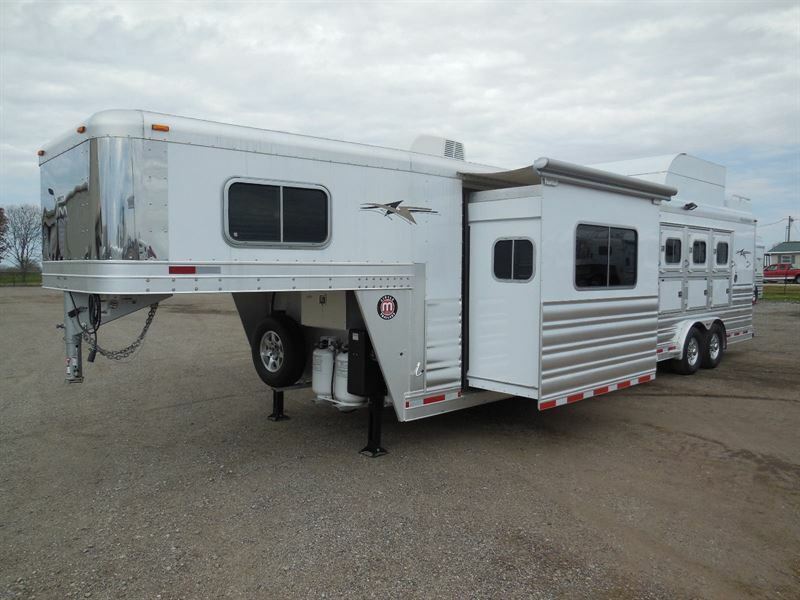 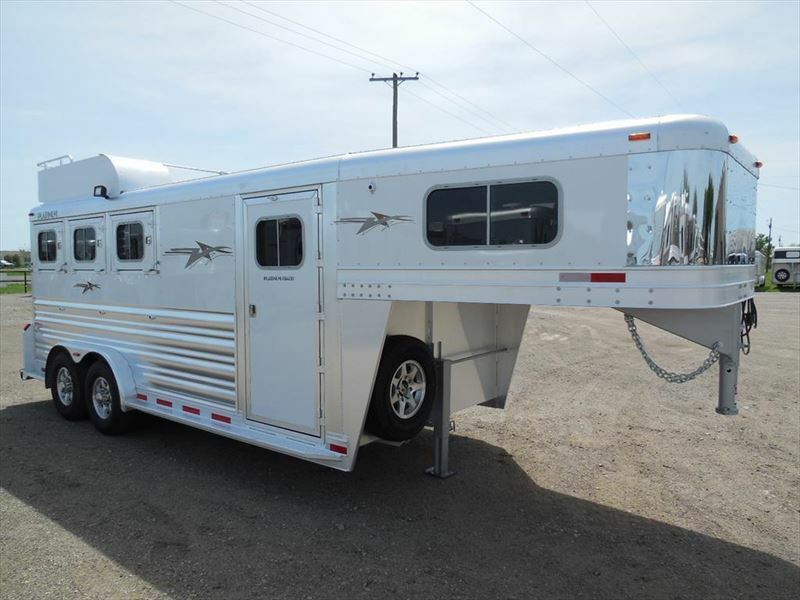 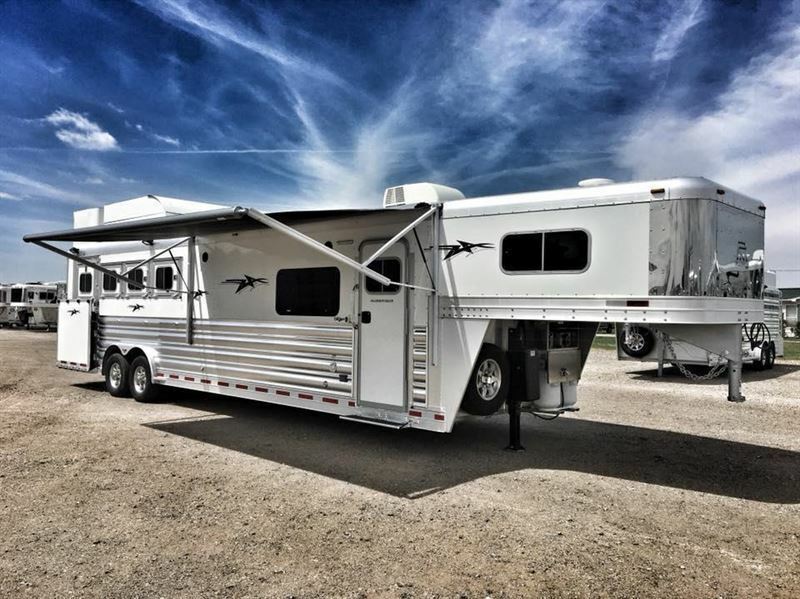 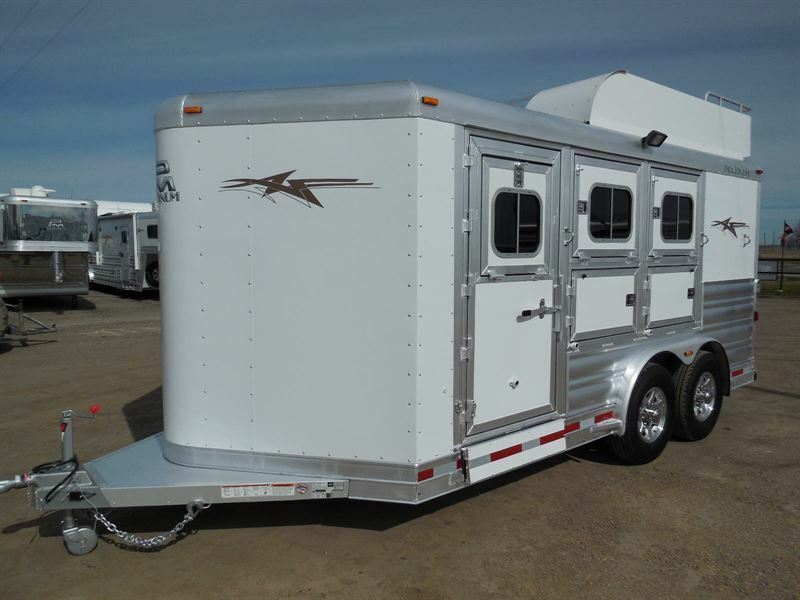 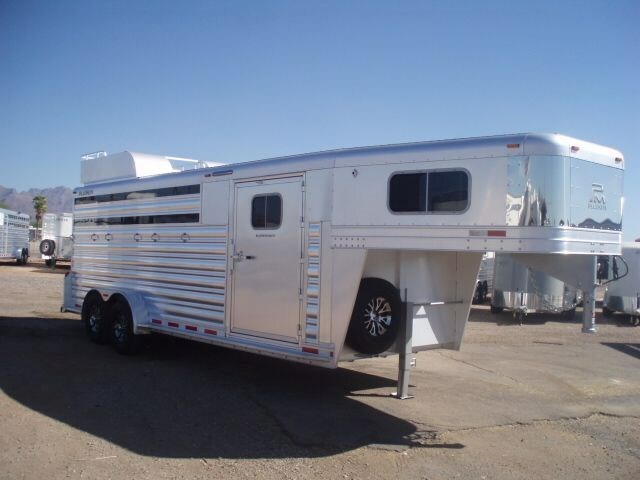 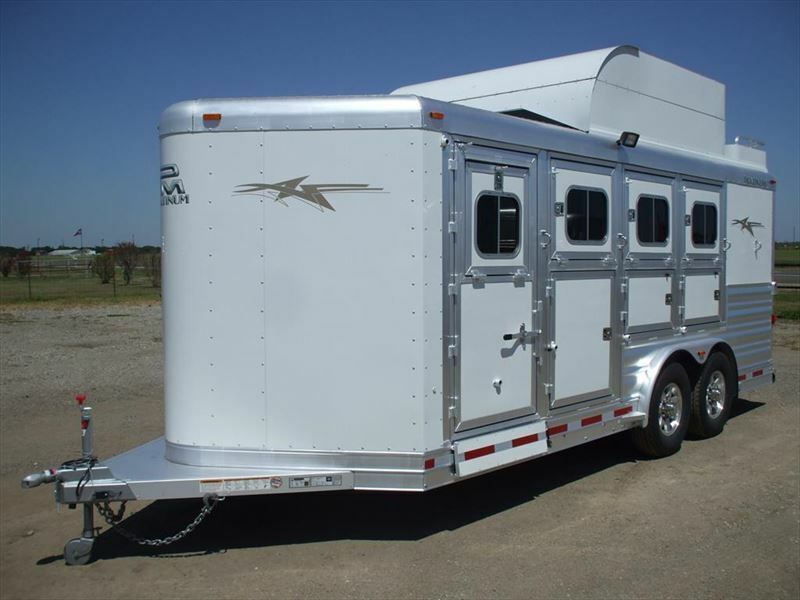 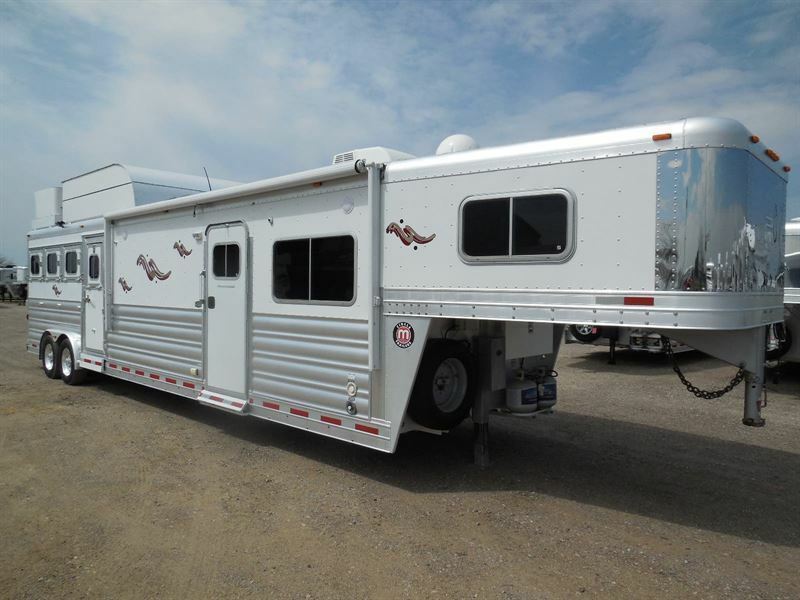 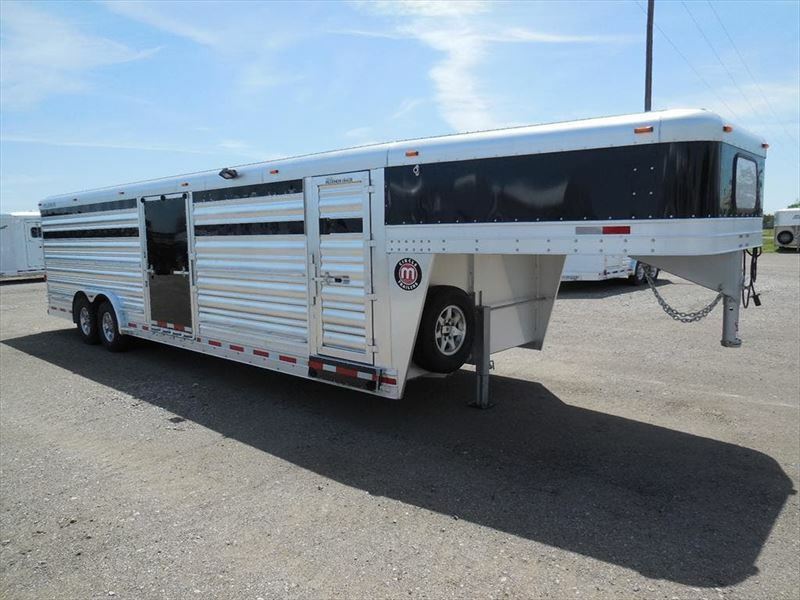 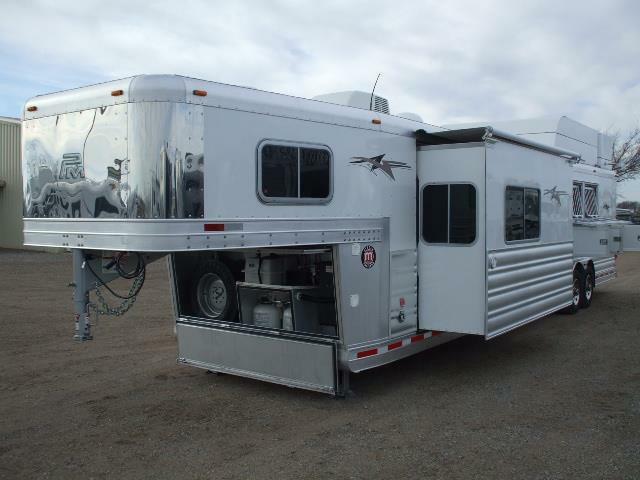 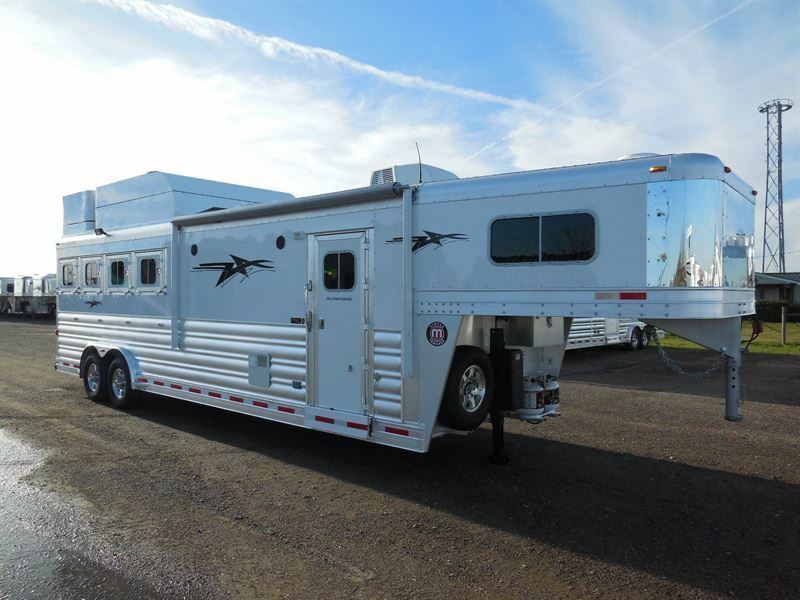 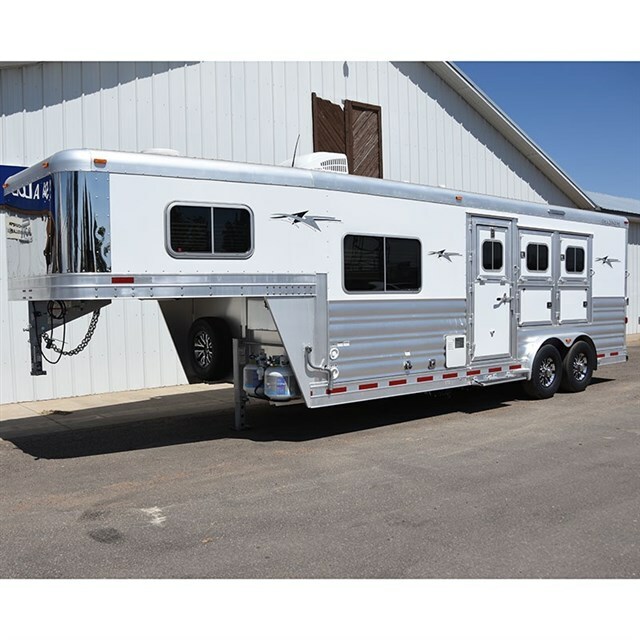 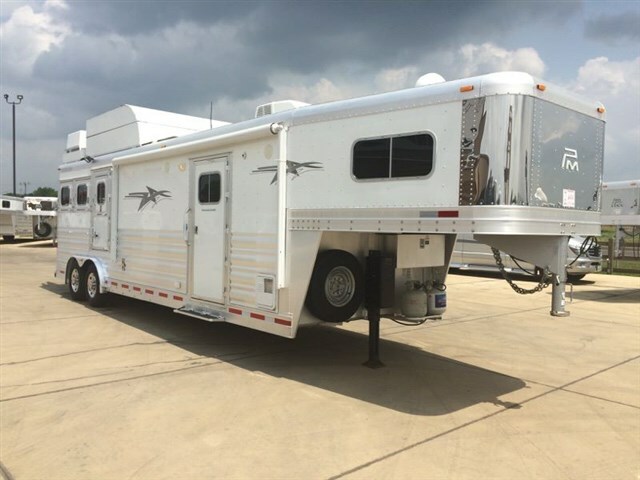 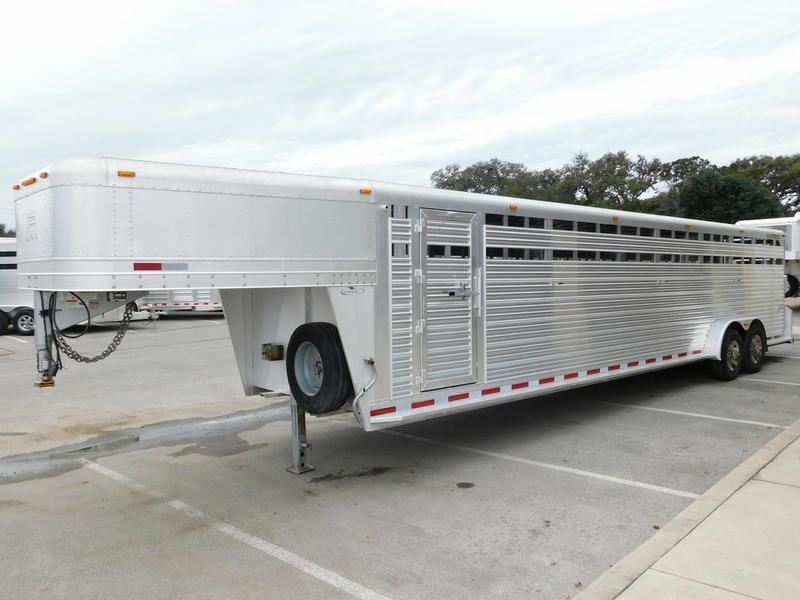 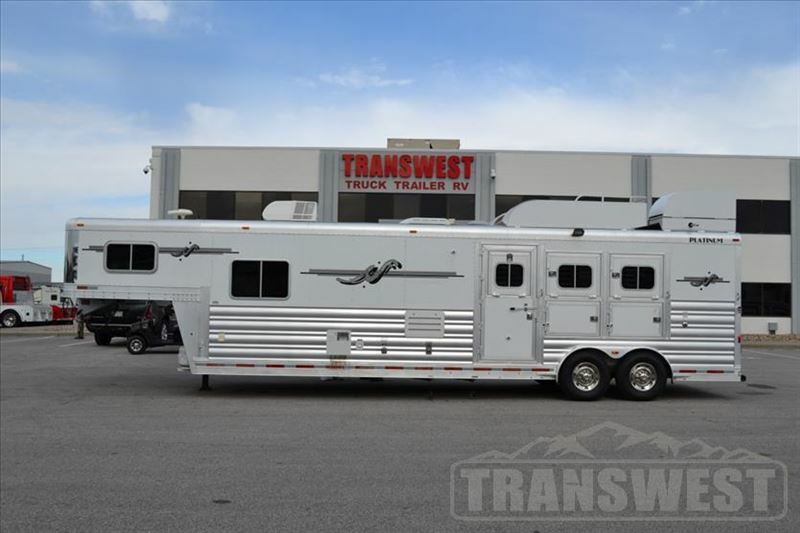 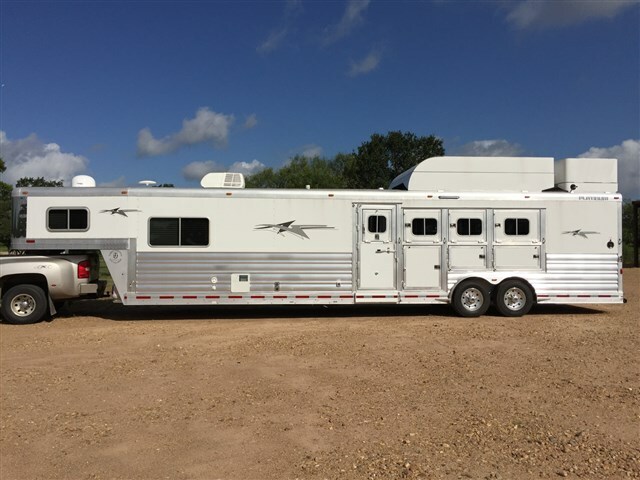 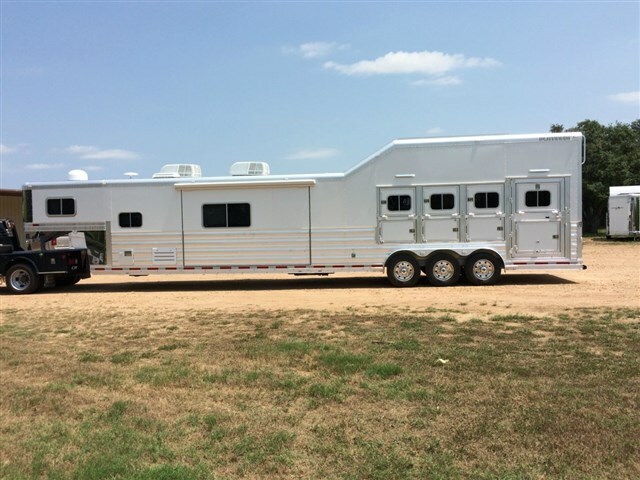 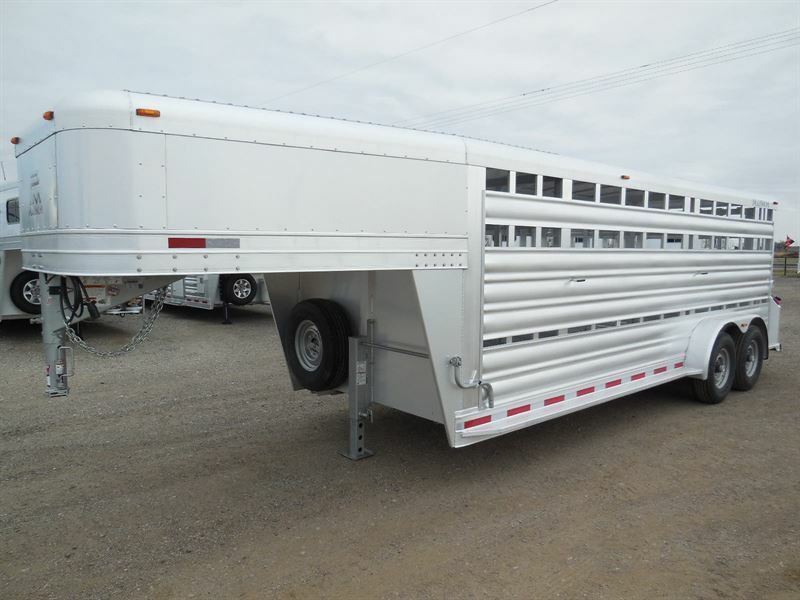 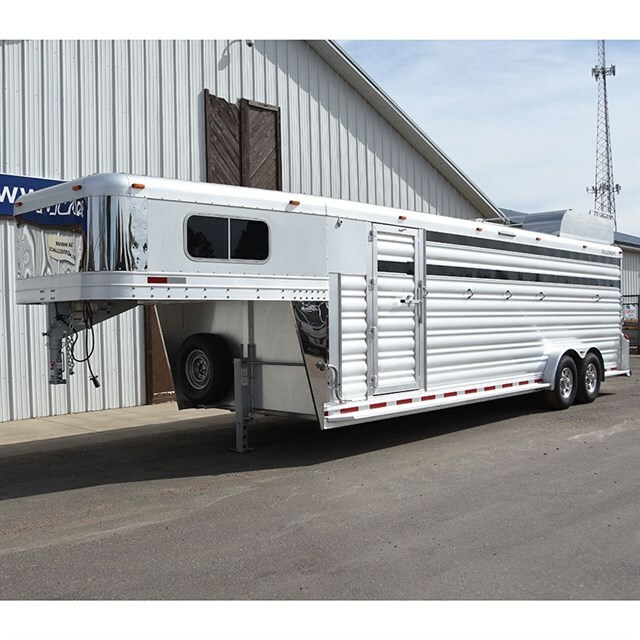 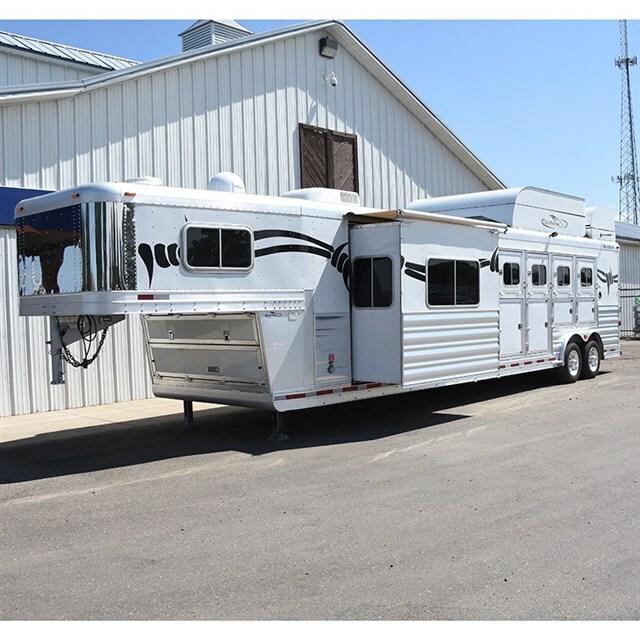 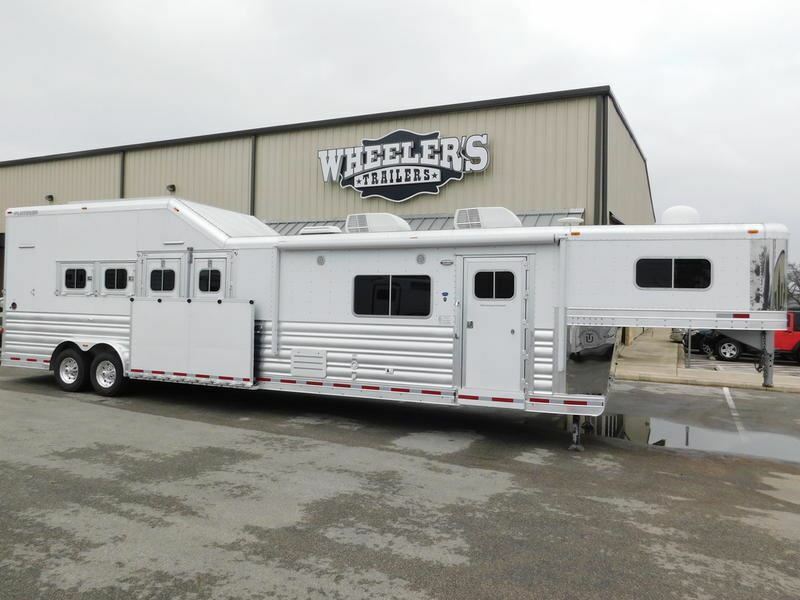 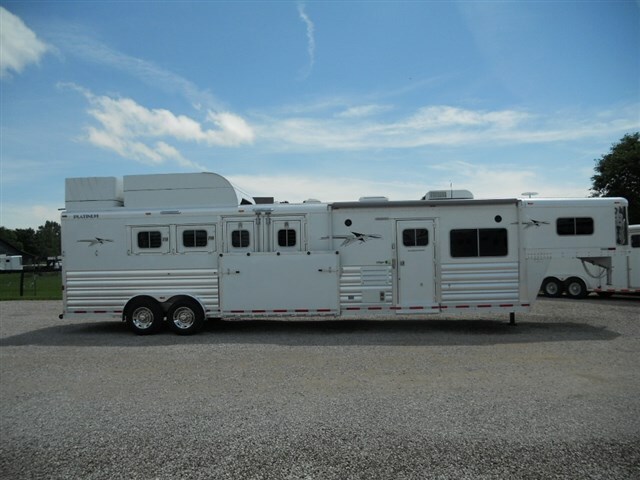 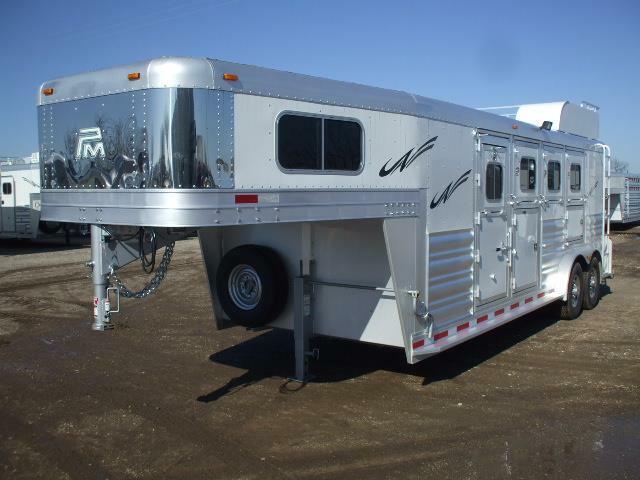 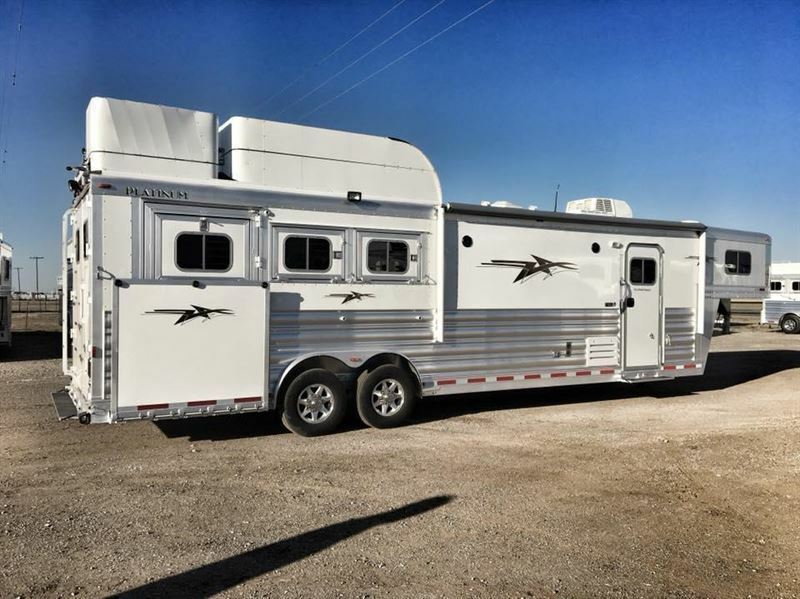 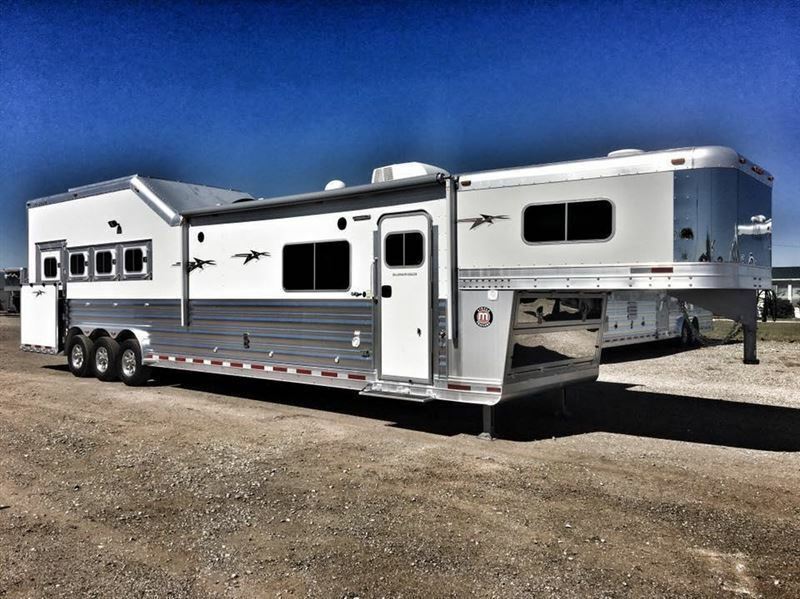 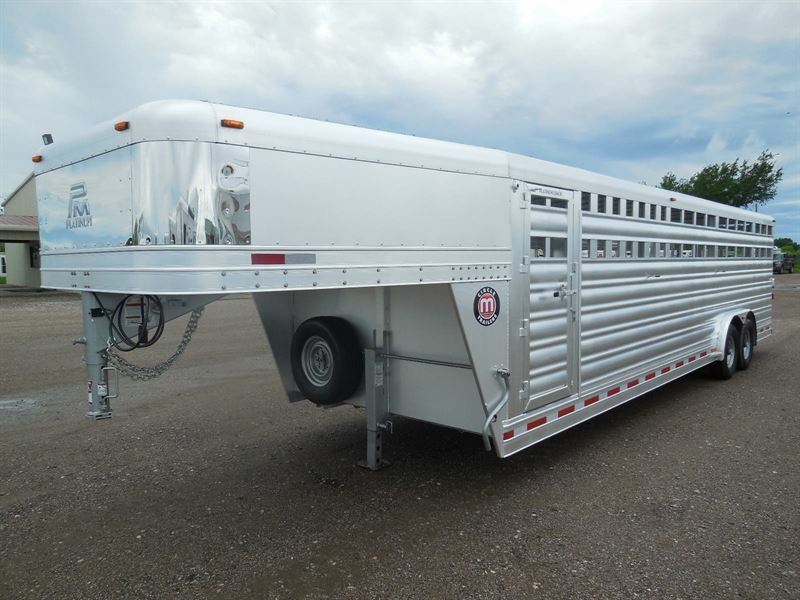 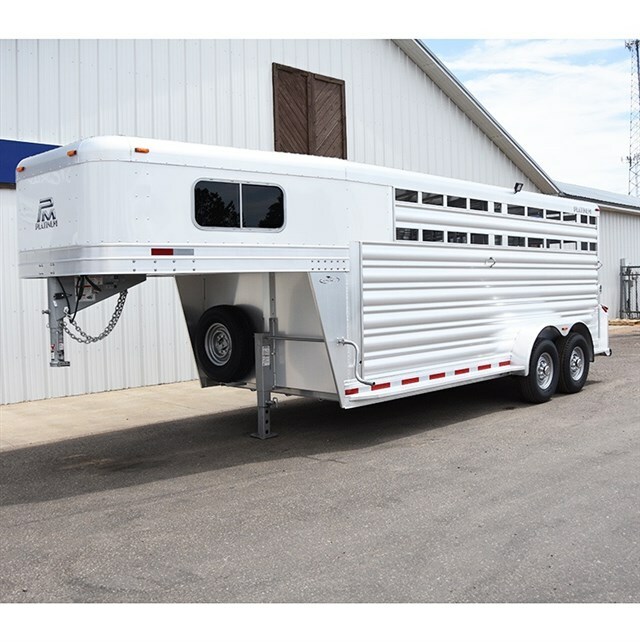 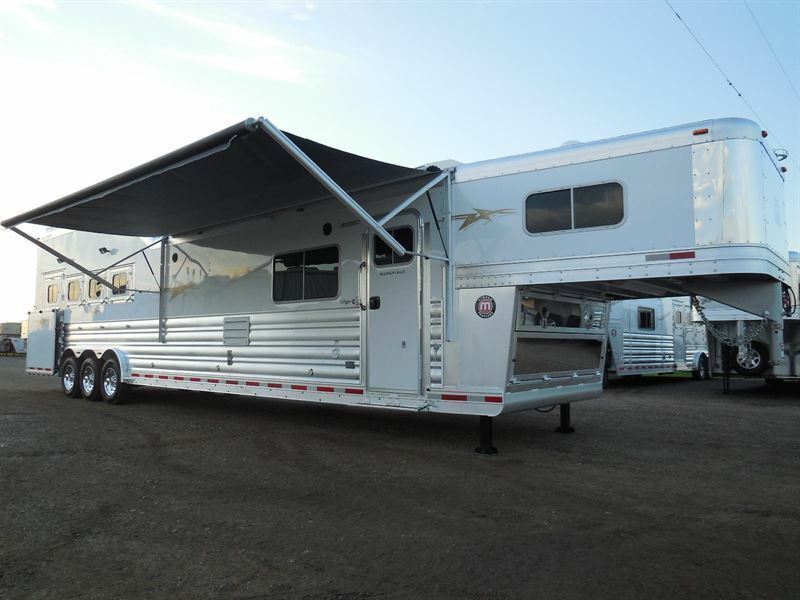 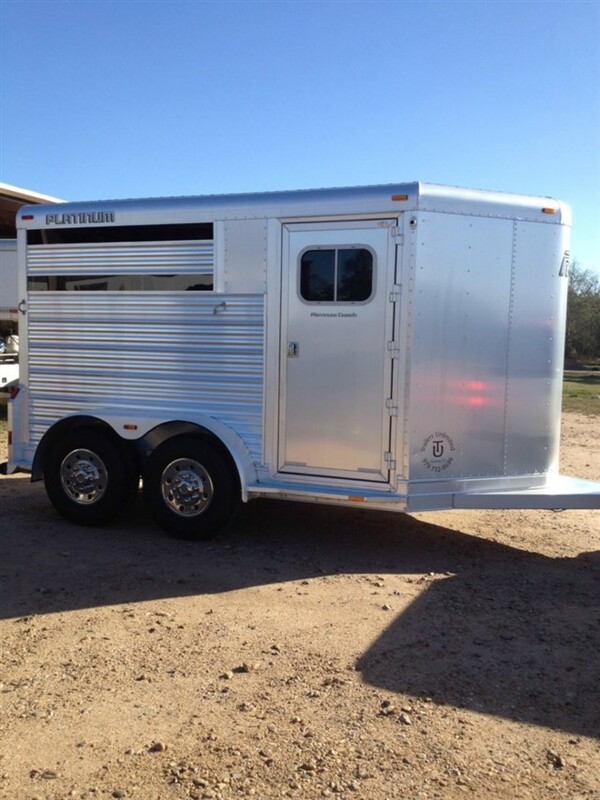 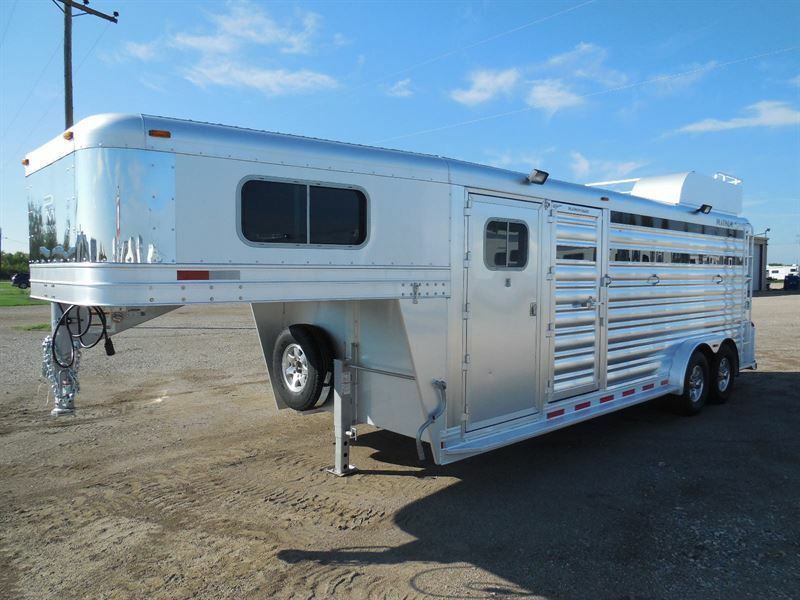 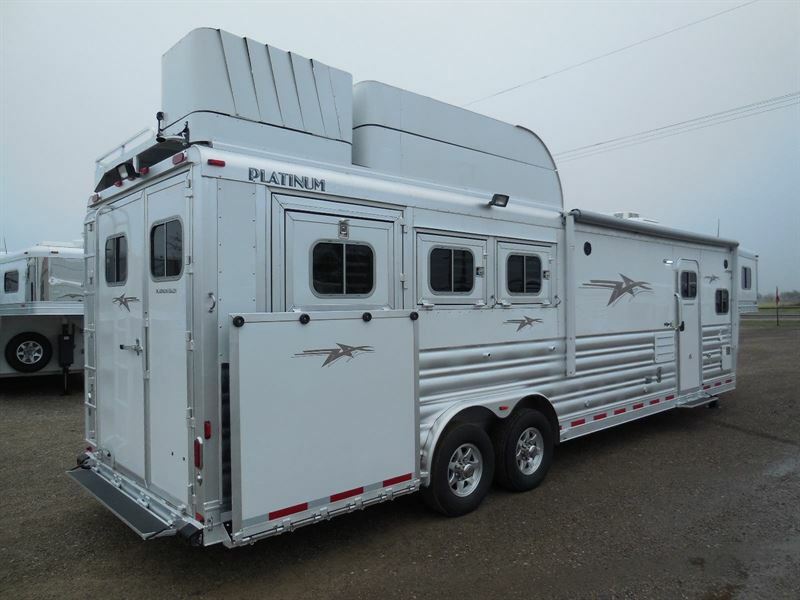 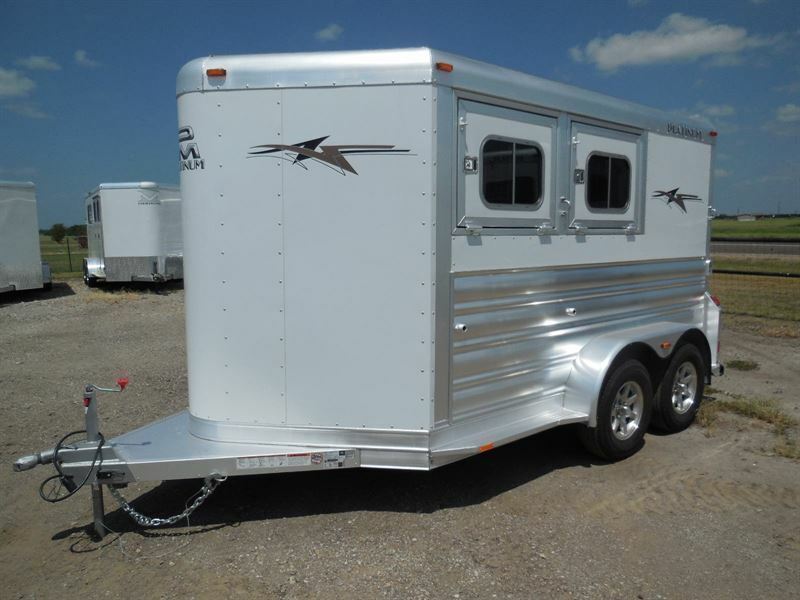 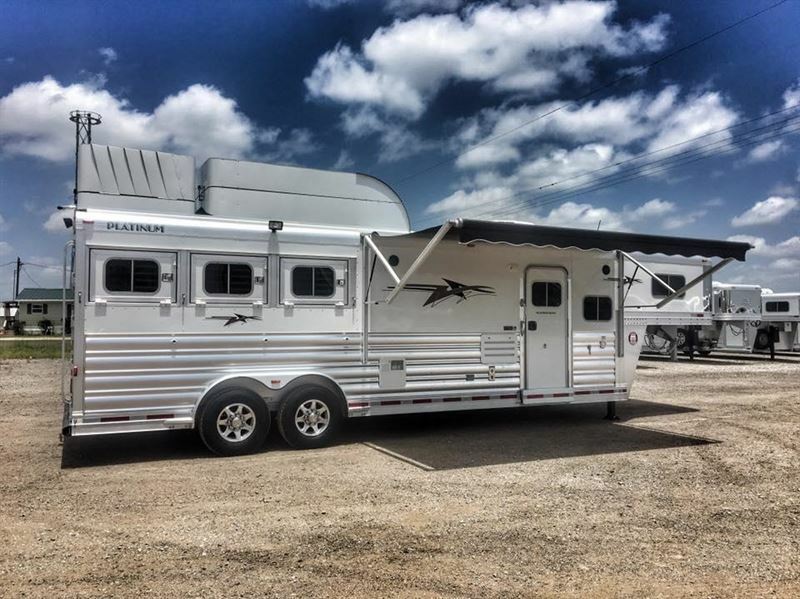 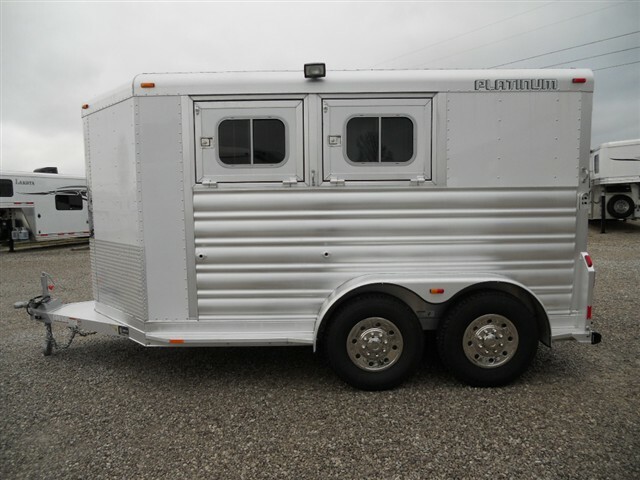 2013 4 horse Platinum 15' short wall with a gen TIME FOR A NEW HOME !!! 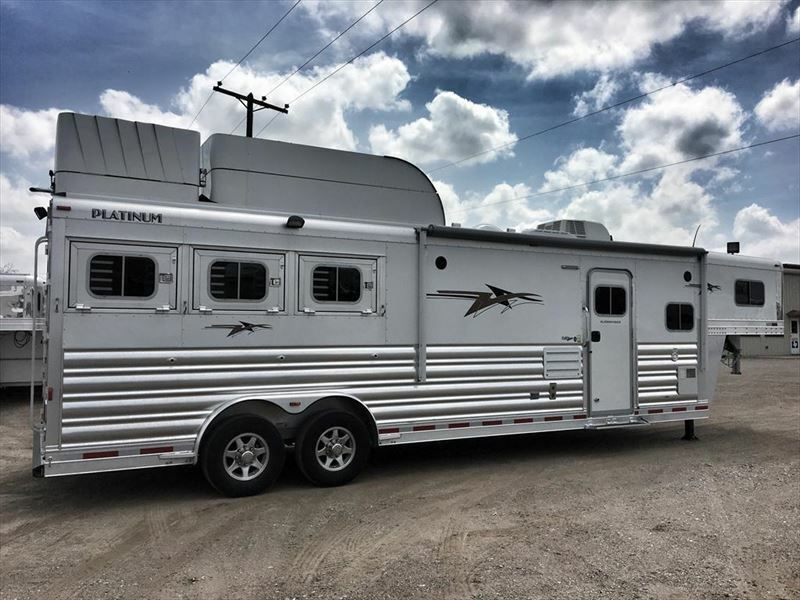 2013 3 horse Platinum 3H 12' Outlaw, Onan, Polylast Floor SALE PENDING!